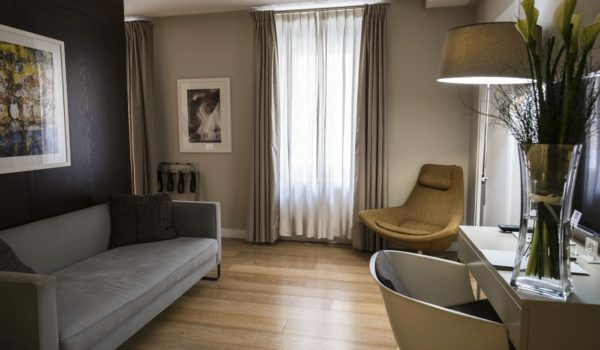 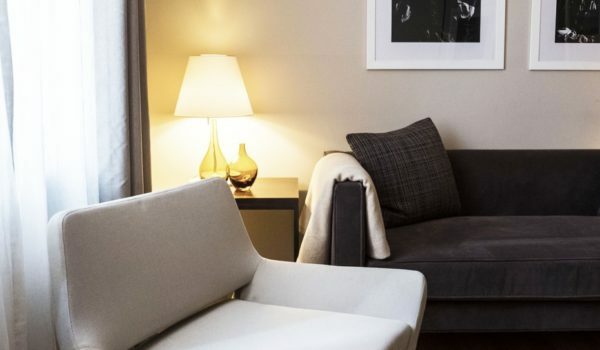 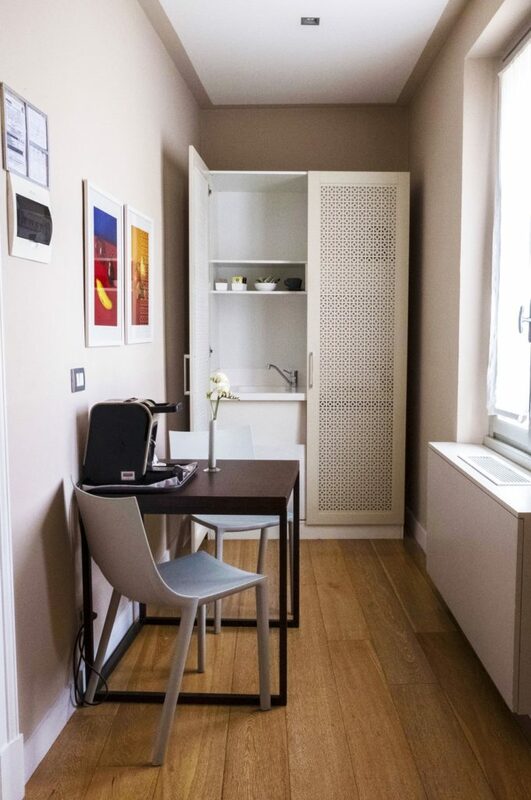 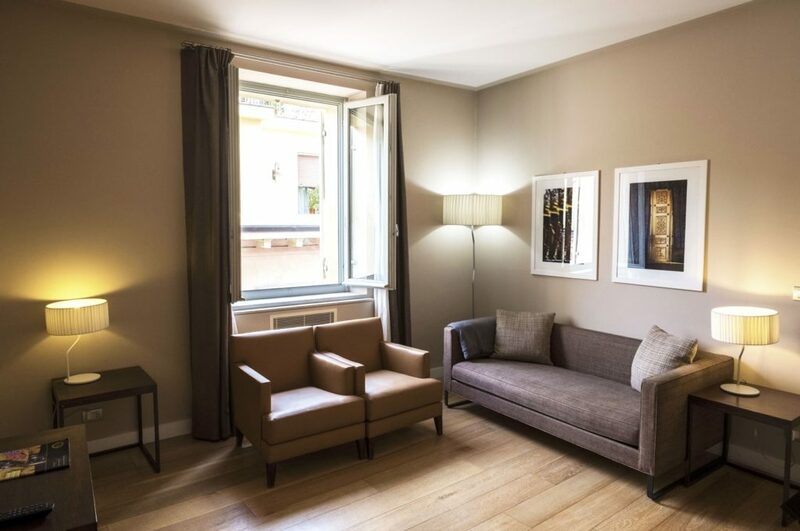 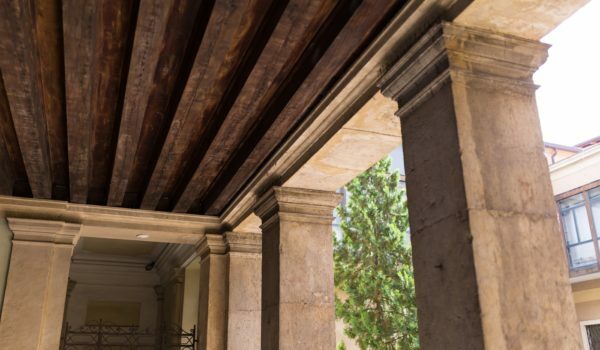 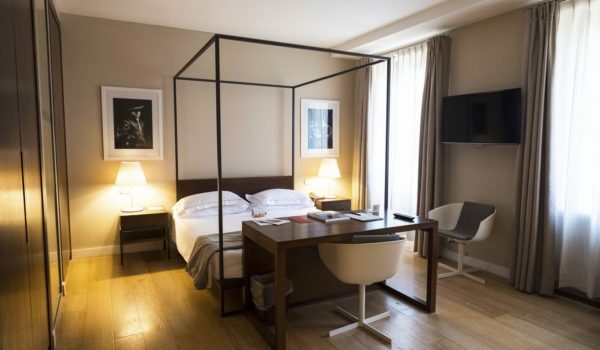 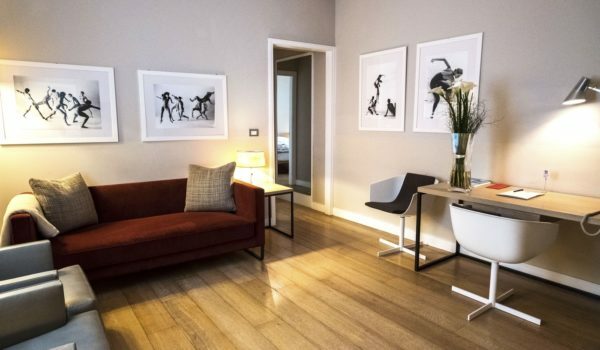 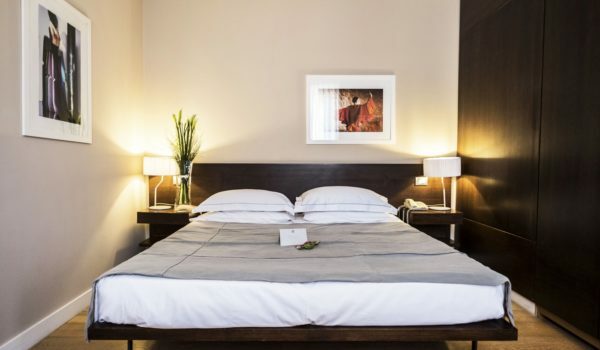 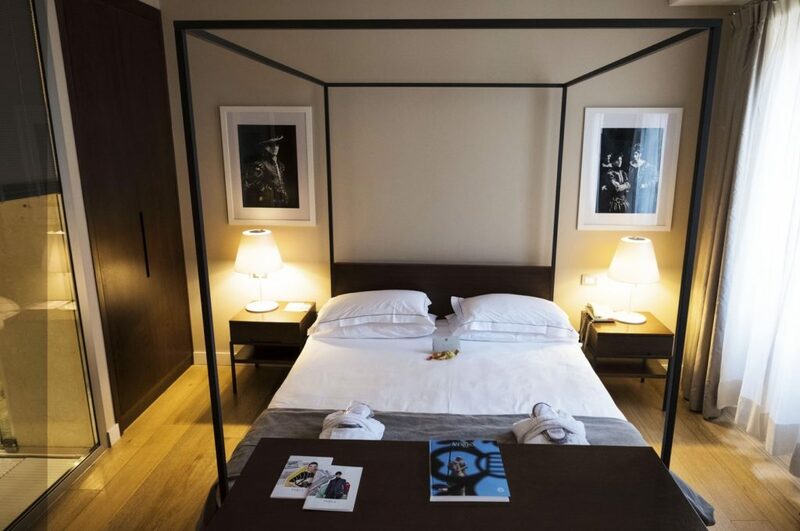 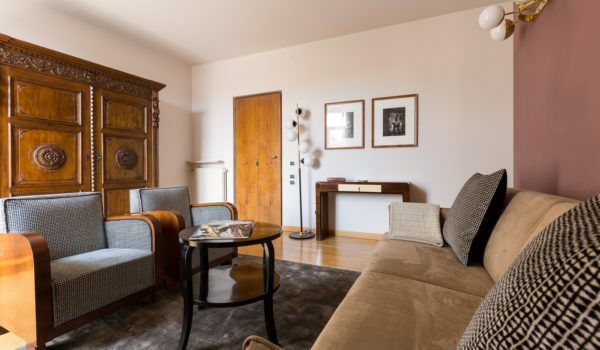 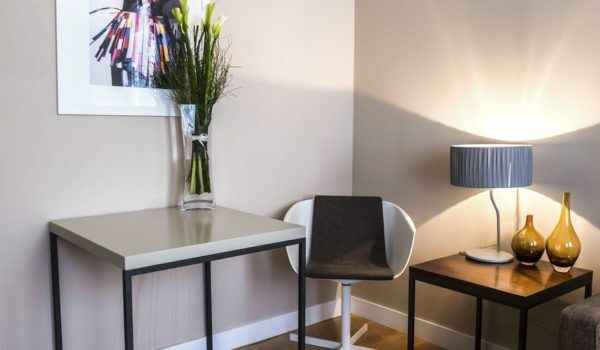 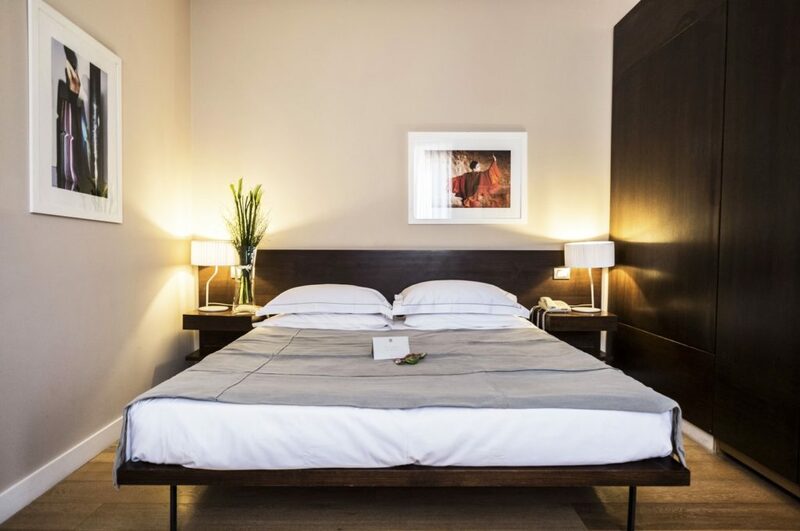 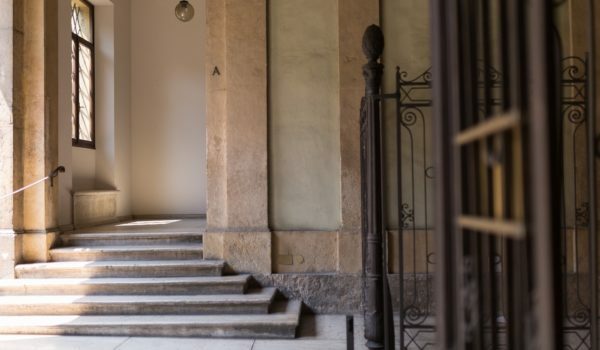 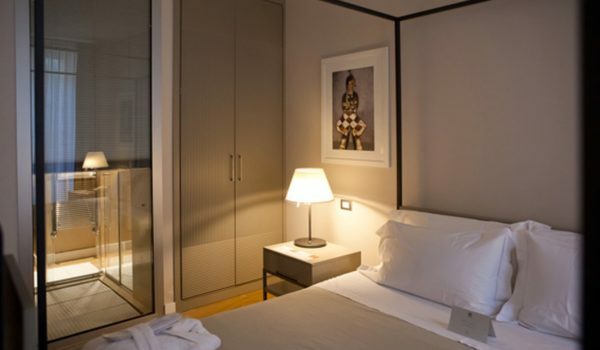 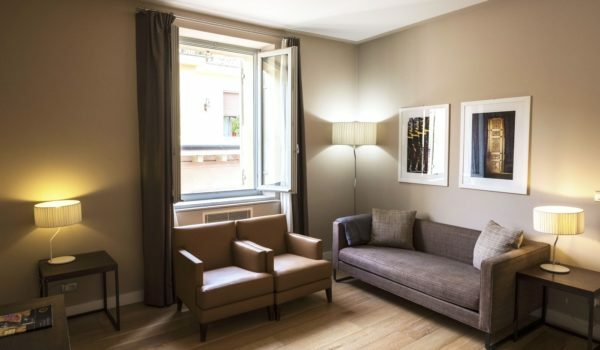 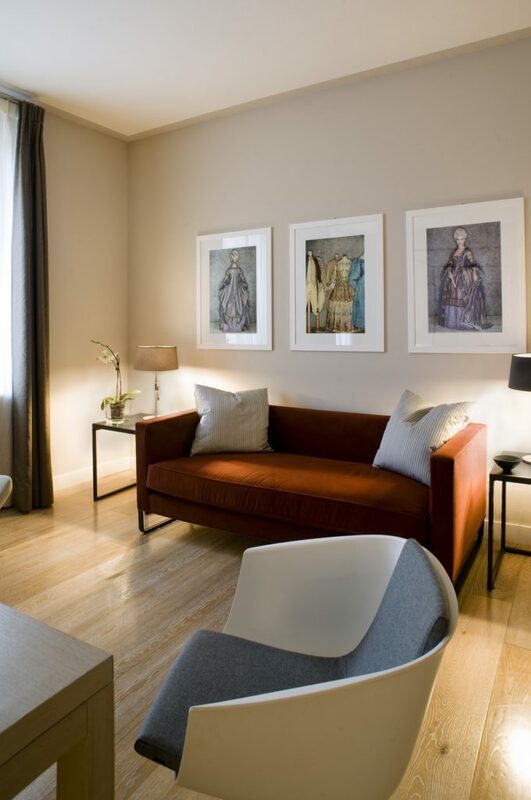 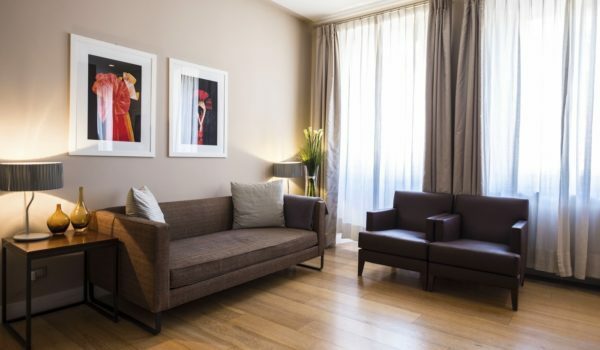 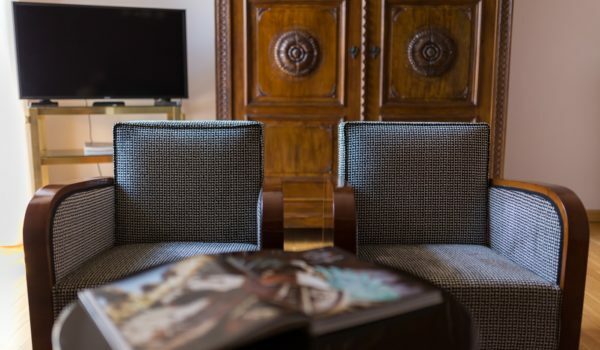 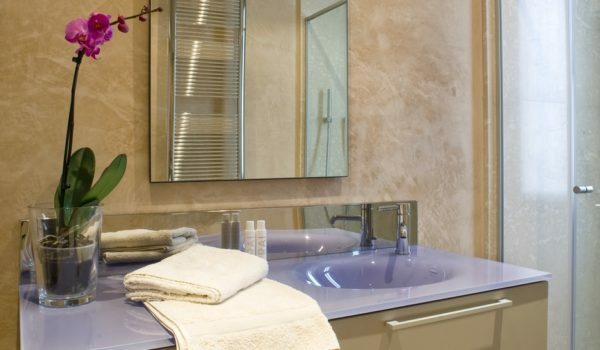 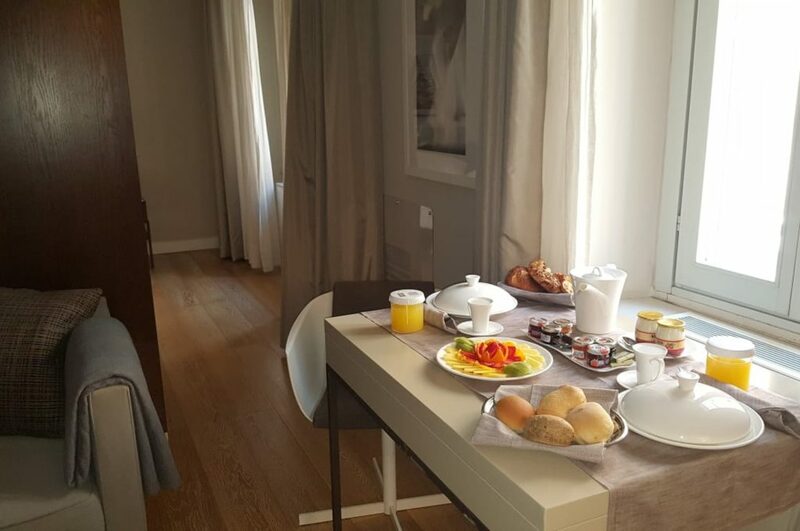 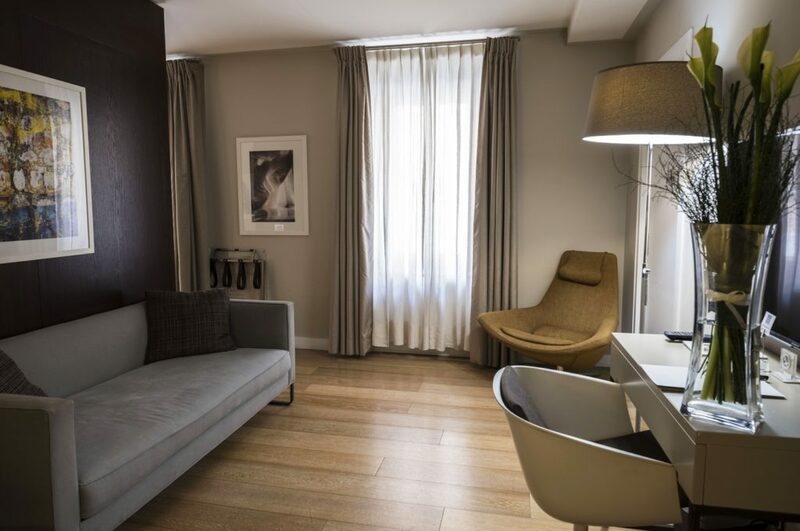 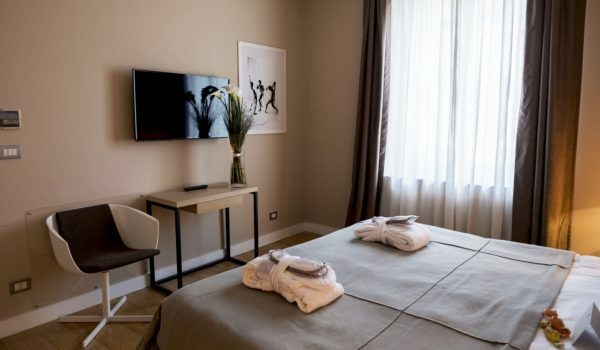 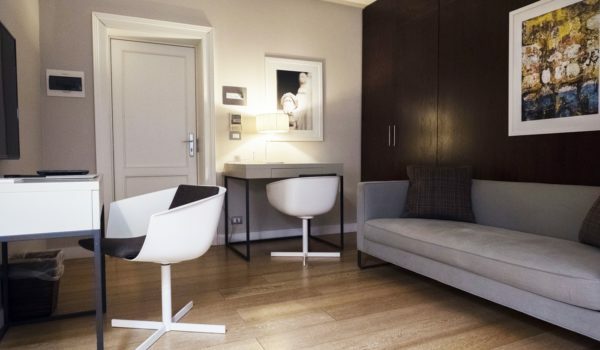 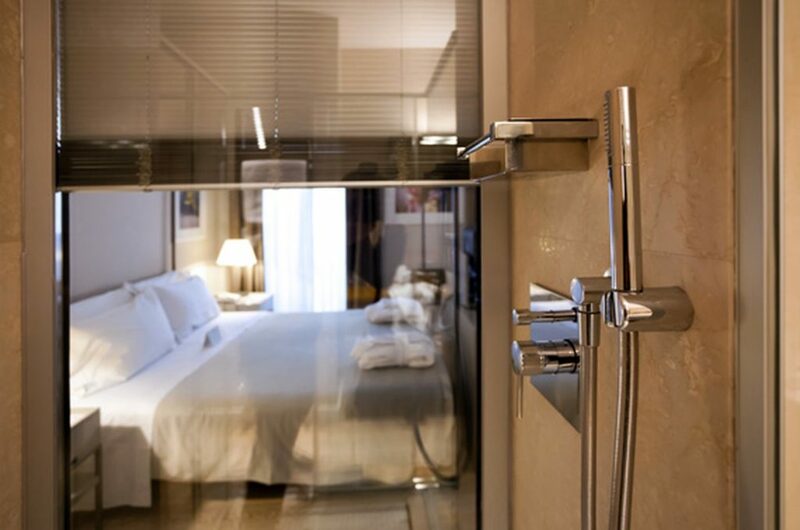 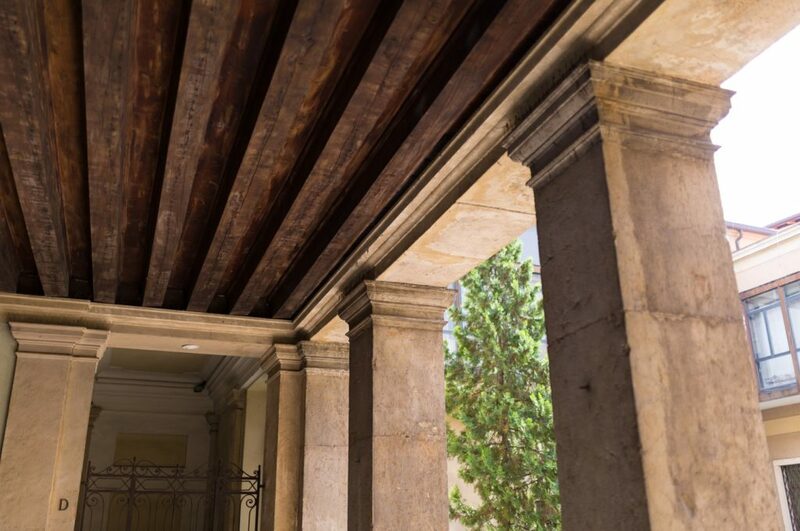 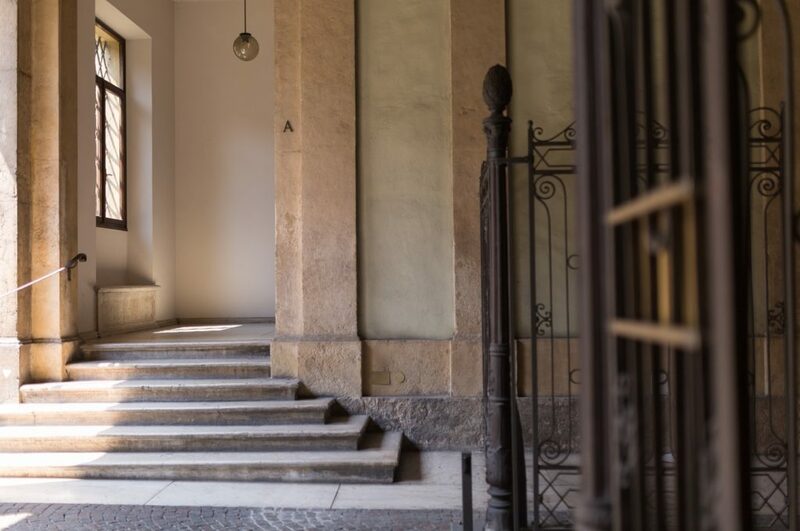 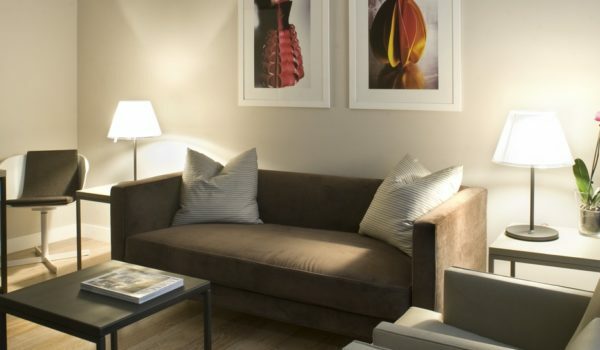 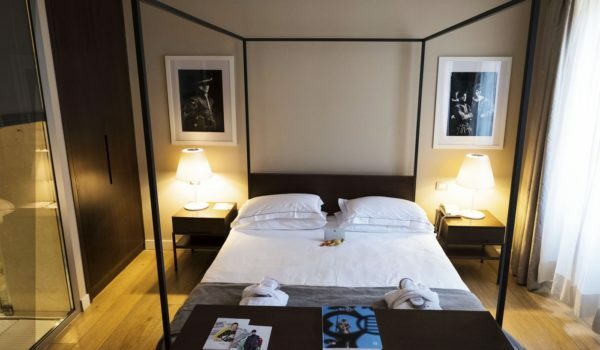 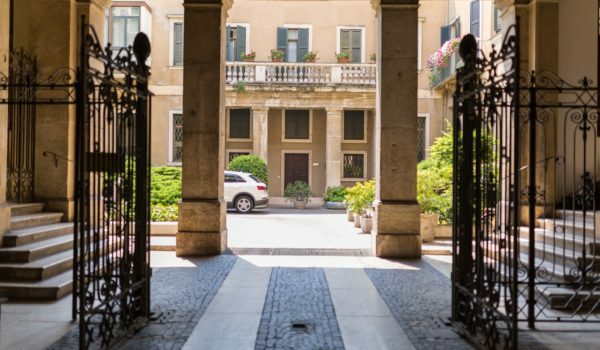 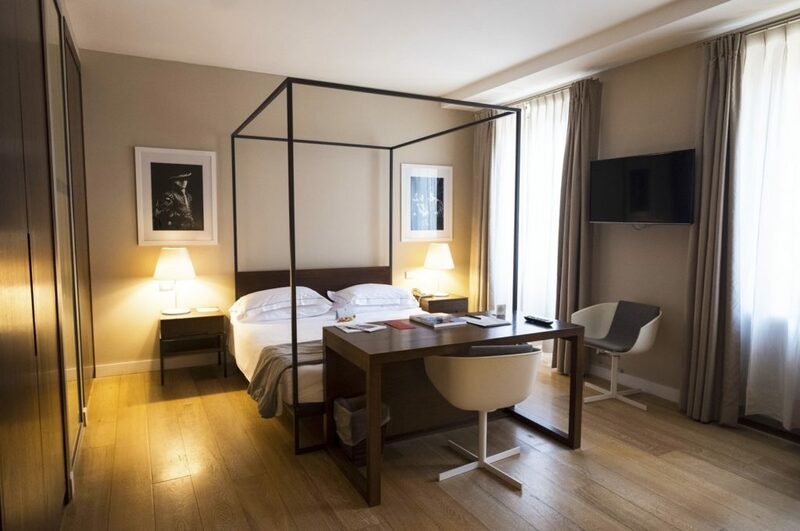 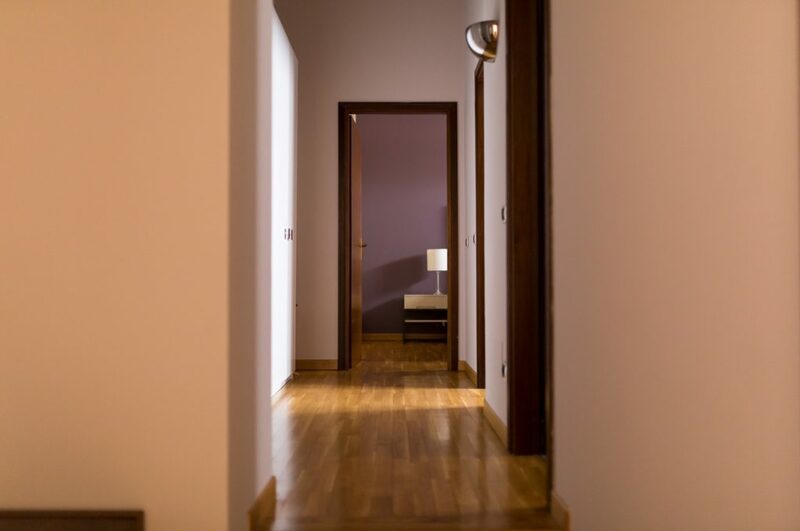 In the heart of the historical centre of Verona, with an elegant mix of design, charm and luxury, Escalus Luxury Suites offers 10 suites in 3 different typologies, from 30sqm to 50sqm. 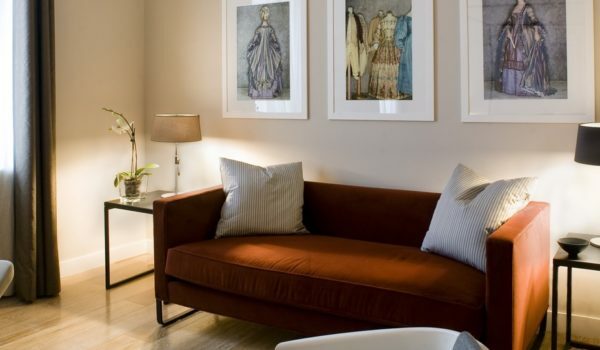 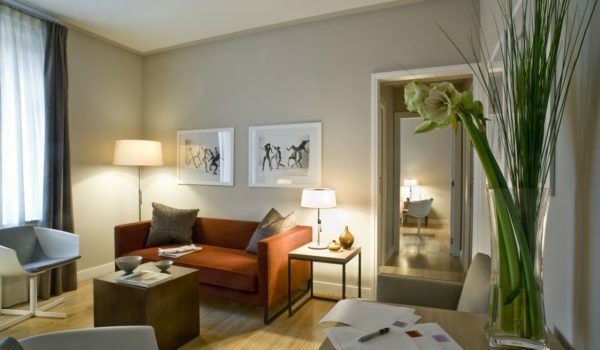 The suites are all as large and comfortable as apartments. 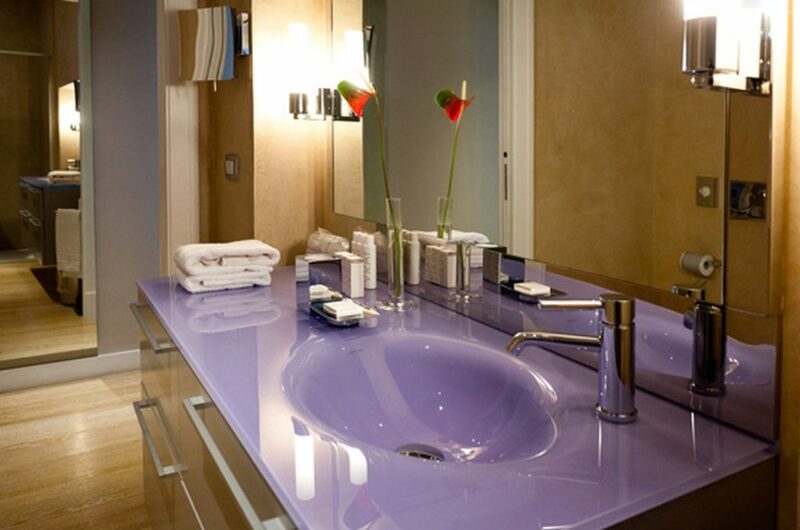 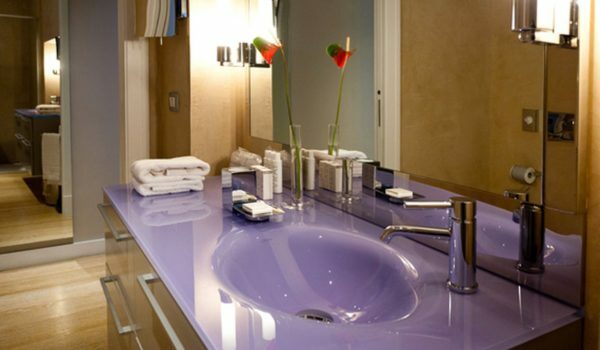 The design was conceptualized by the famous interior designer Andrea Truglio and made to measure for the hotel for a unique lifestyle. 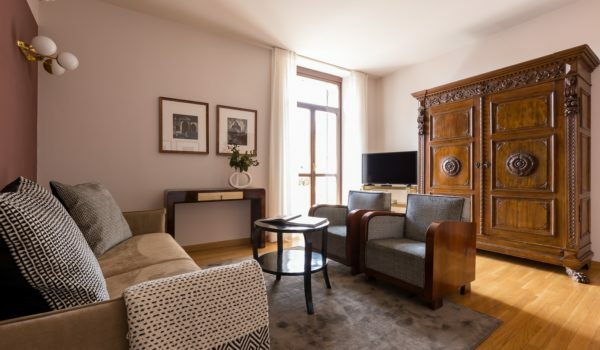 All rooms have oak wooden and marble floors, central air-conditioning/heating, large flat screen TV, satellite, mini bar, safe, desk, telephone, free WIFI. 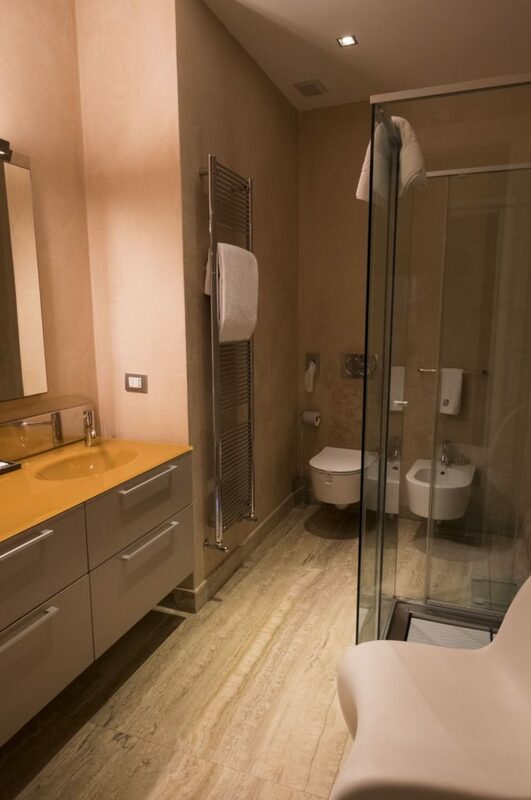 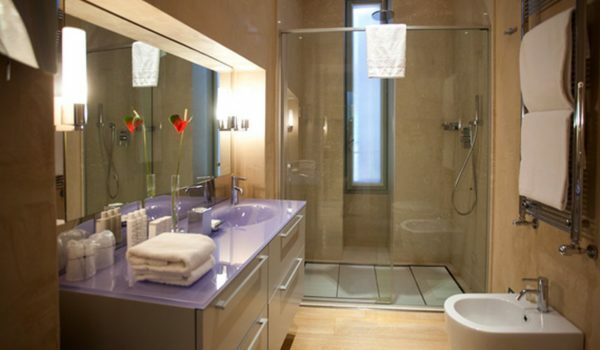 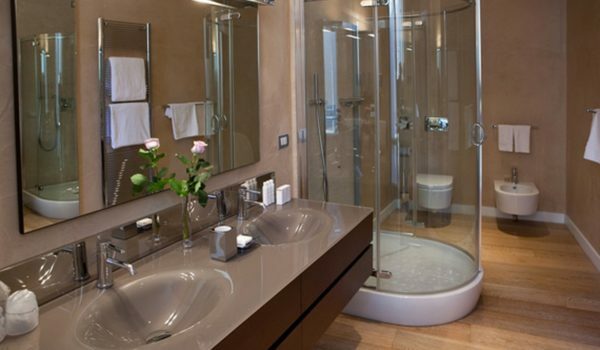 In the large bathroom with shower Guests can find hair dryer, courtesy set, tissues, bathrobe. 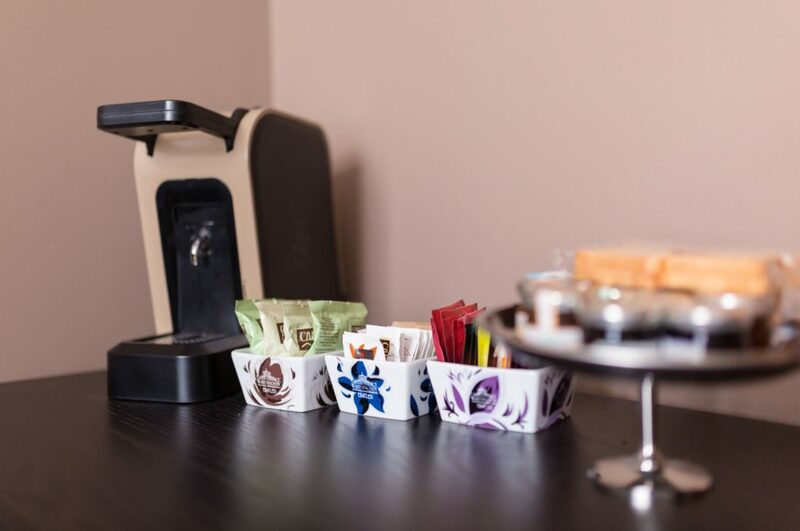 In the room, Guests have at disposal a kettle with a fine selection of tea bags and herbal teas and a coffee machine. 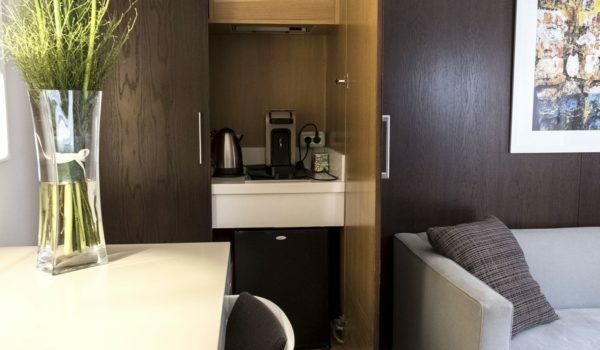 Some rooms have a kitchenette. 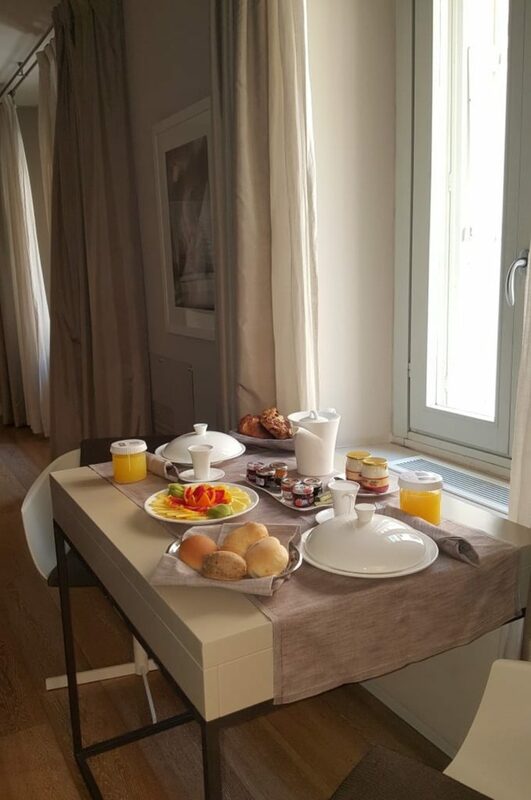 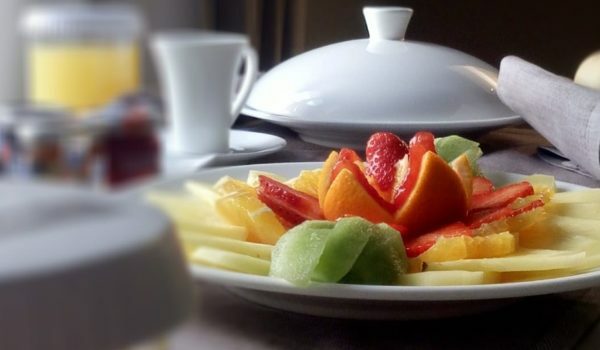 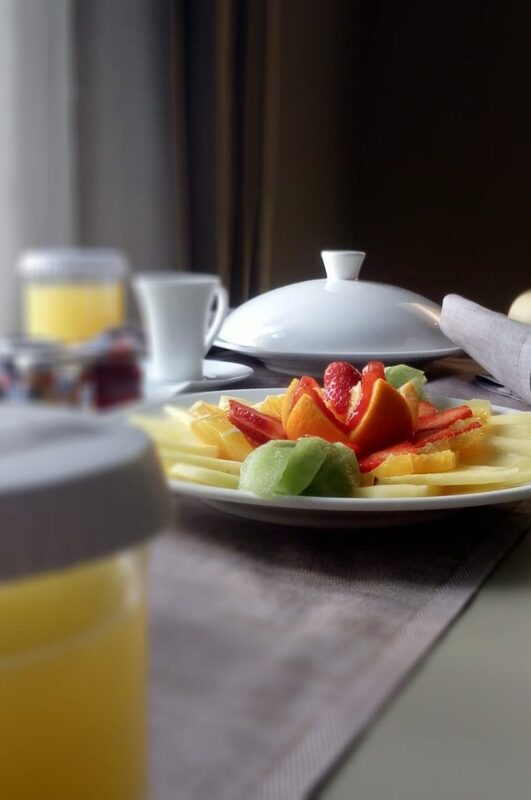 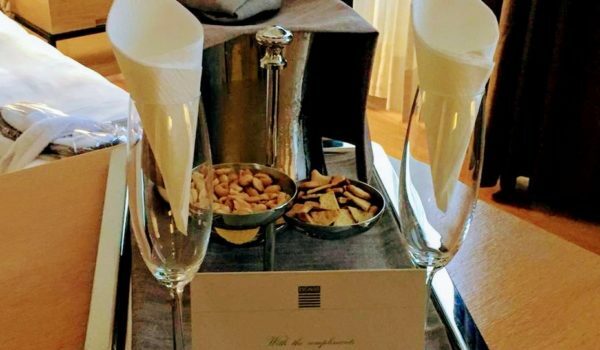 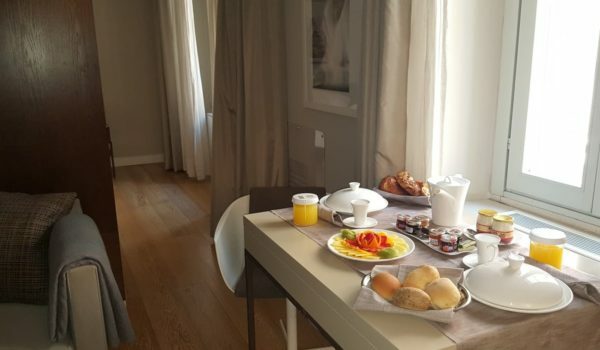 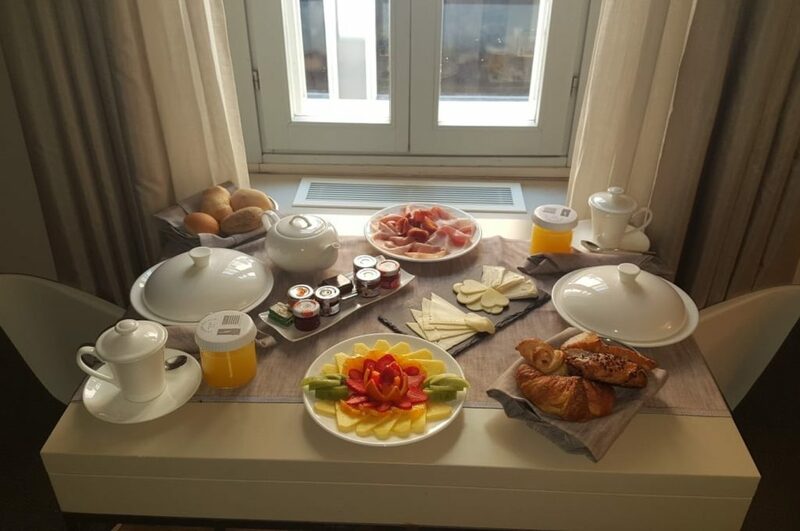 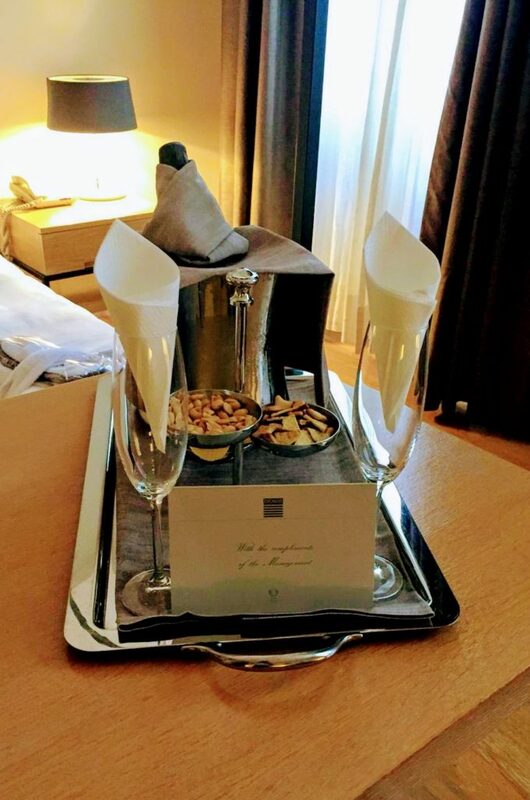 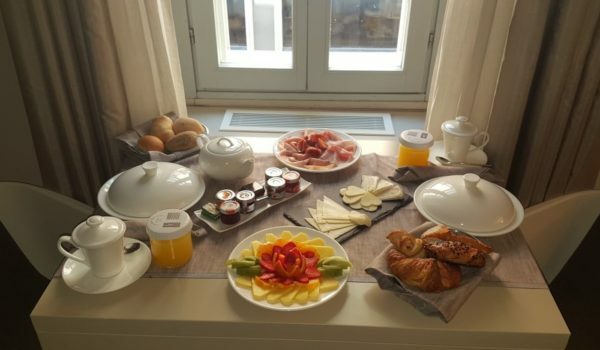 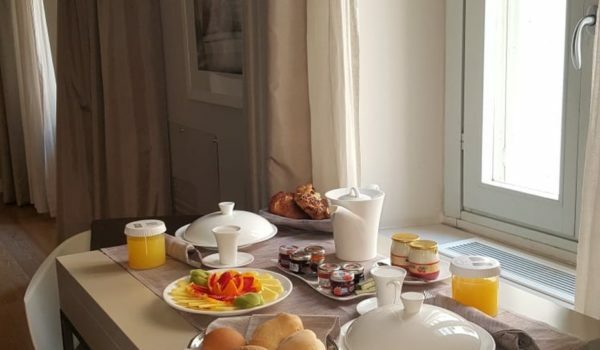 Breakfast is served in the room in the morning at the time chosen by the Guest. 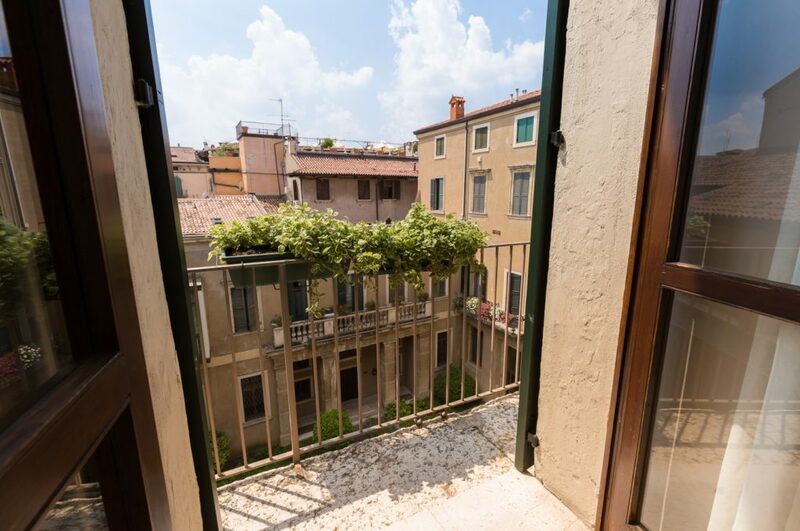 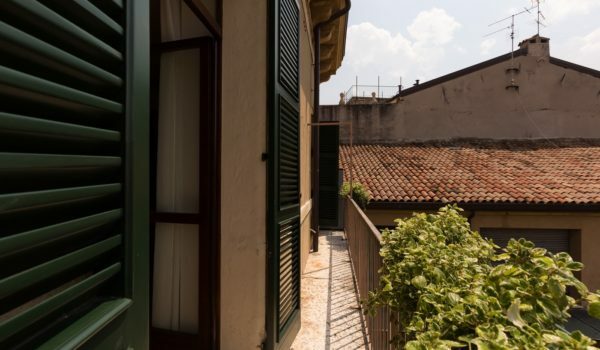 The romantic Junior Suite 30 m² overlooks Via Mazzini, one of the most beautiful pedestrian streets of Verona. 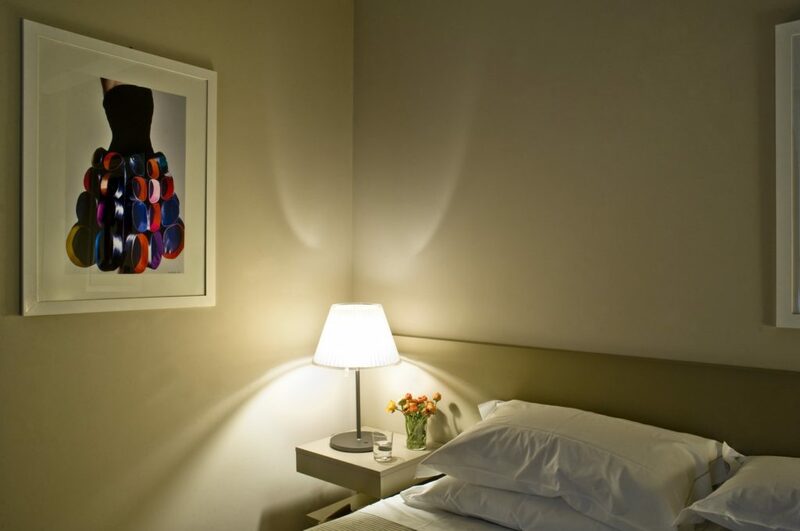 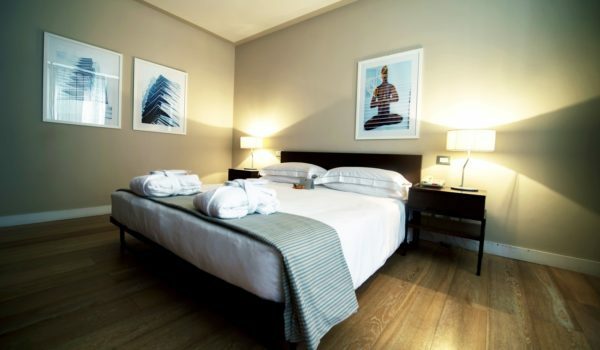 it is composed of a wide bedroom with a modern and comfortable poster-bed, a small hallway leading to a bathroom, and a large bathroom with a big shower. 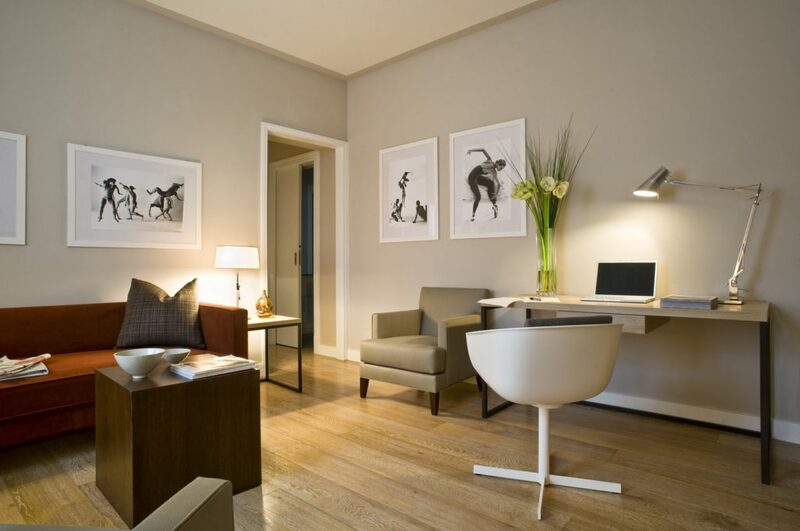 The design of furniture was overseen by Andrea Truglio, very well known Italian designer and it was made to measure for Escalus Luxury Suites. 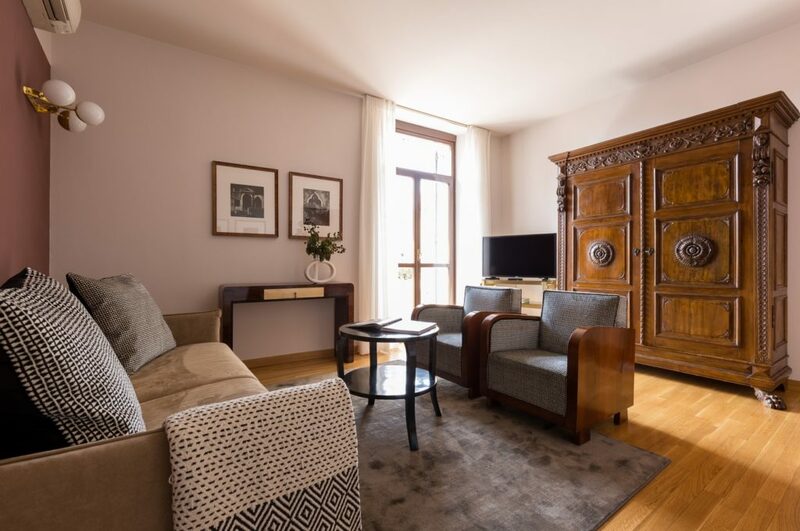 Oak wooden floor, marble floor in the bathroom, air-conditioning, big flat screen TV, mini bar, desk, telephone, wireless Internet and safe. 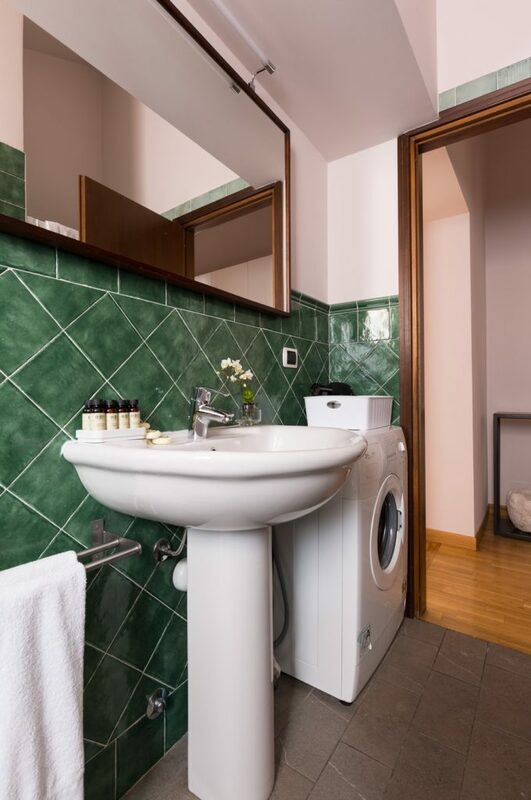 Iron and laundry service on demand. 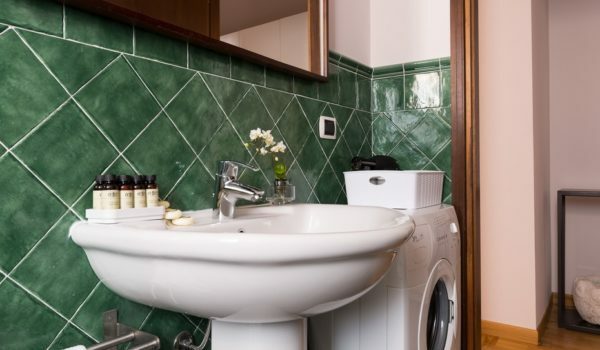 In the bathroom Guests can find hair dryer, courtesy set, tissues, bathrobe and slippers. 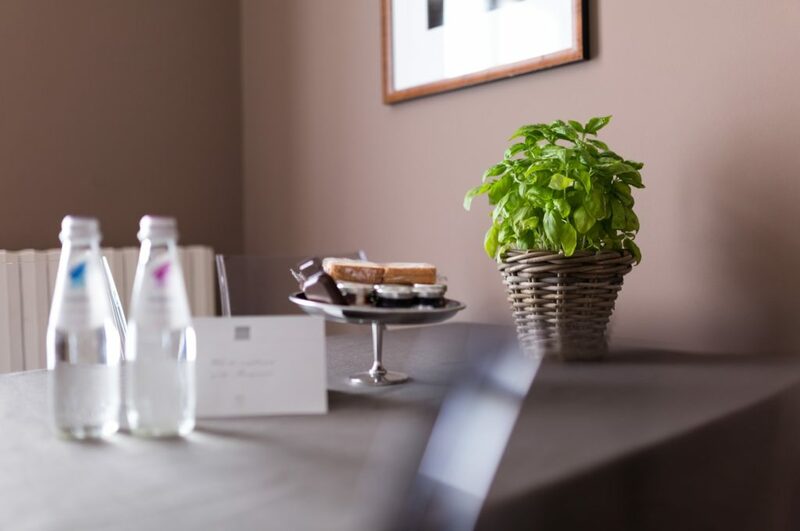 In the room, guests have at disposal a kettle with a fine selection of tea bags and herbal teas. 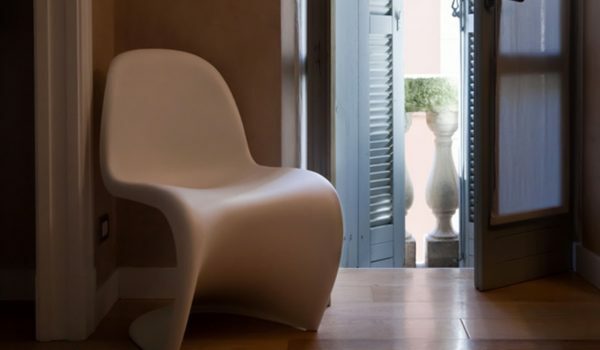 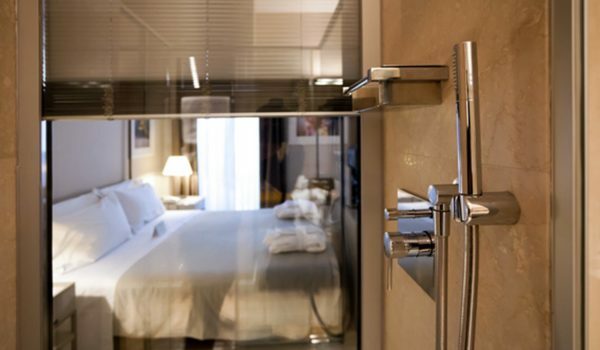 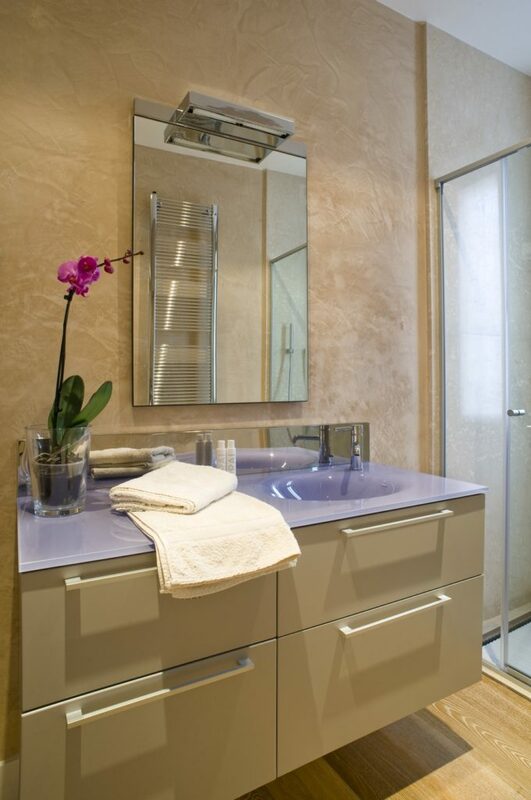 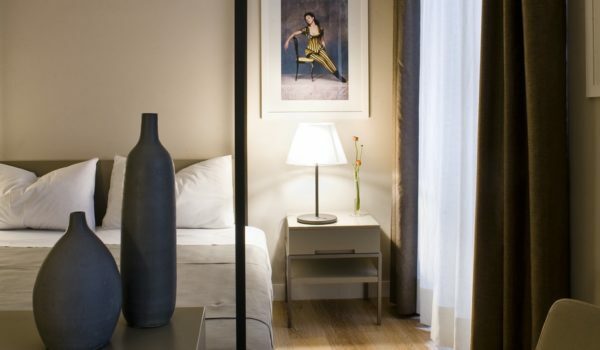 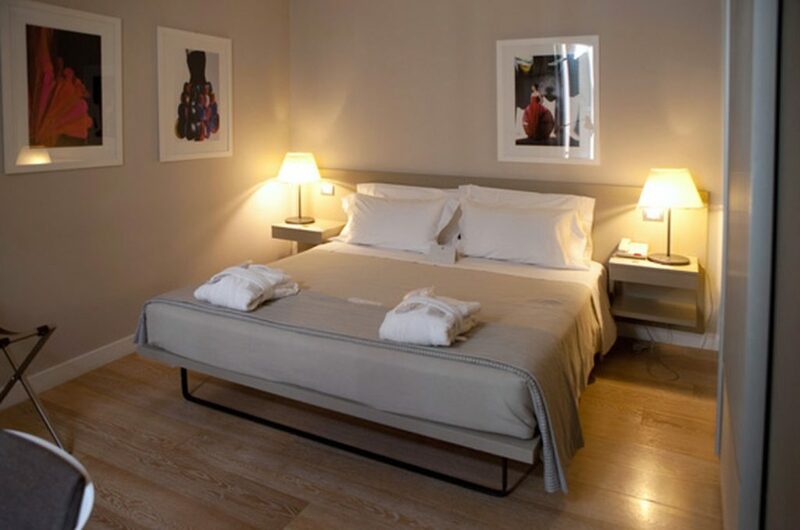 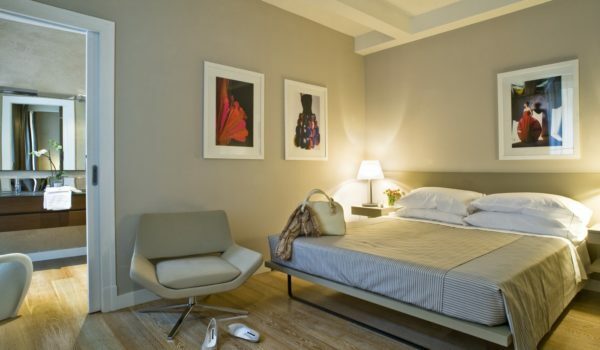 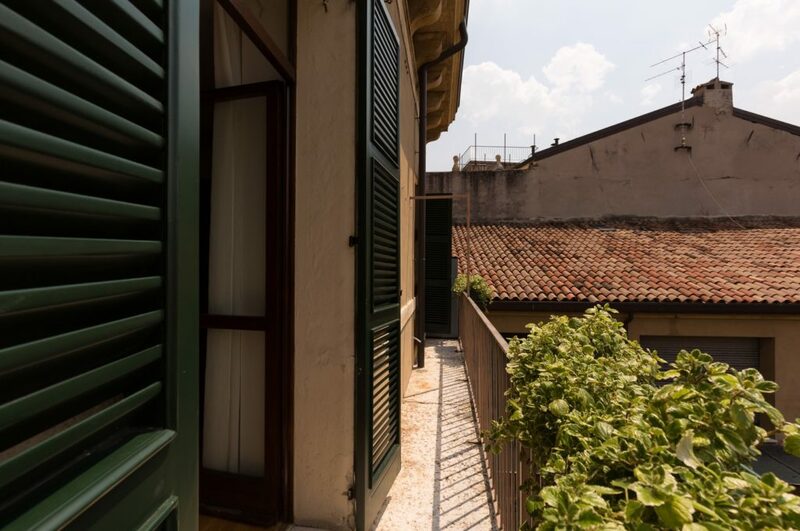 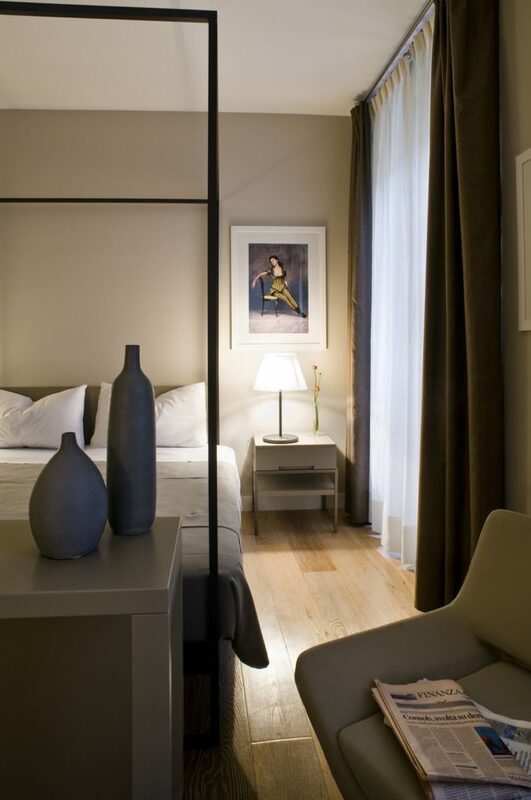 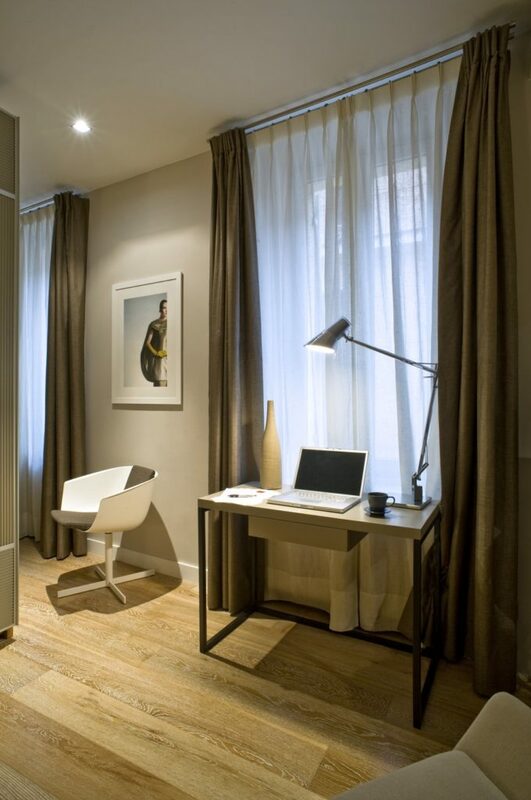 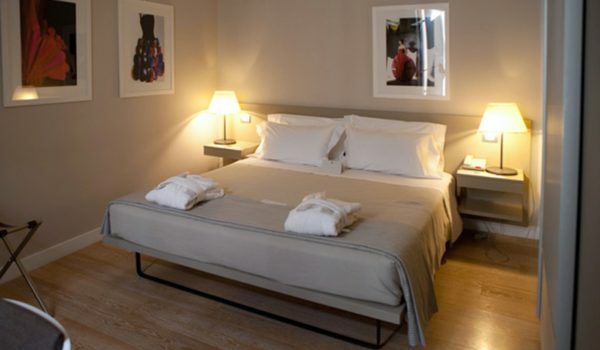 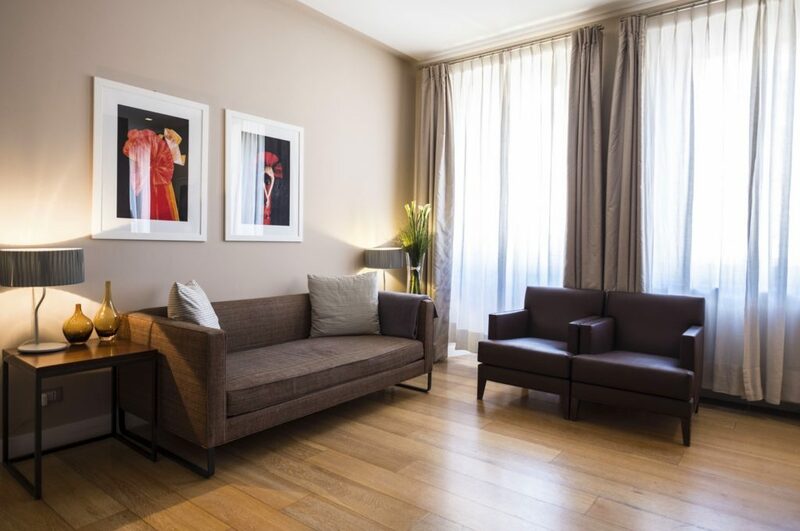 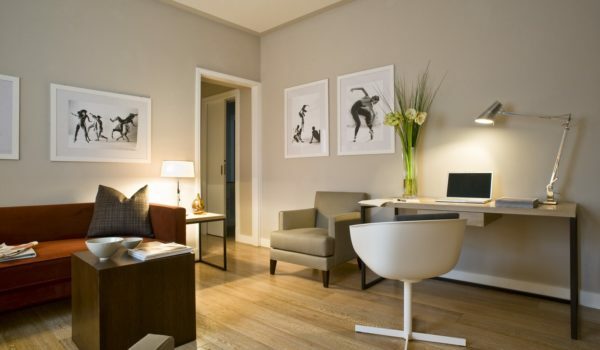 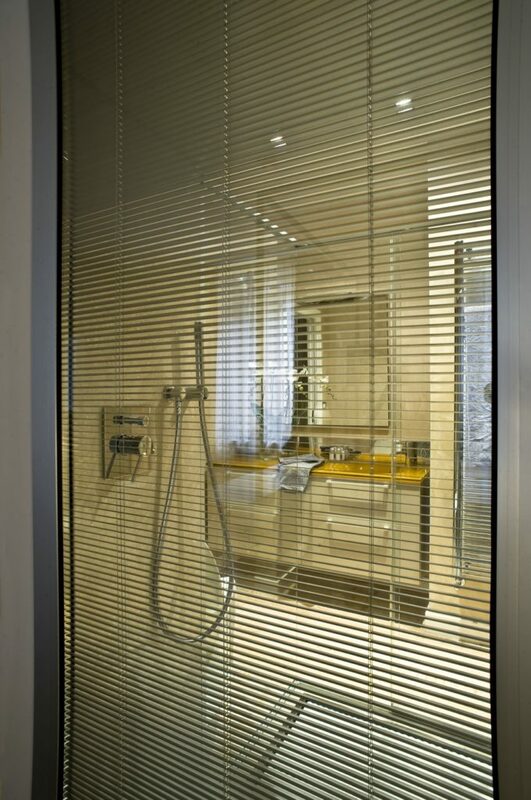 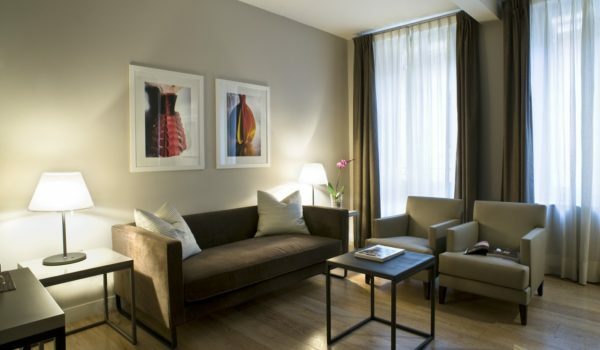 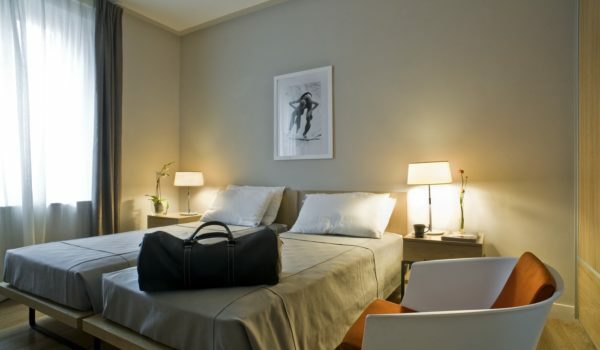 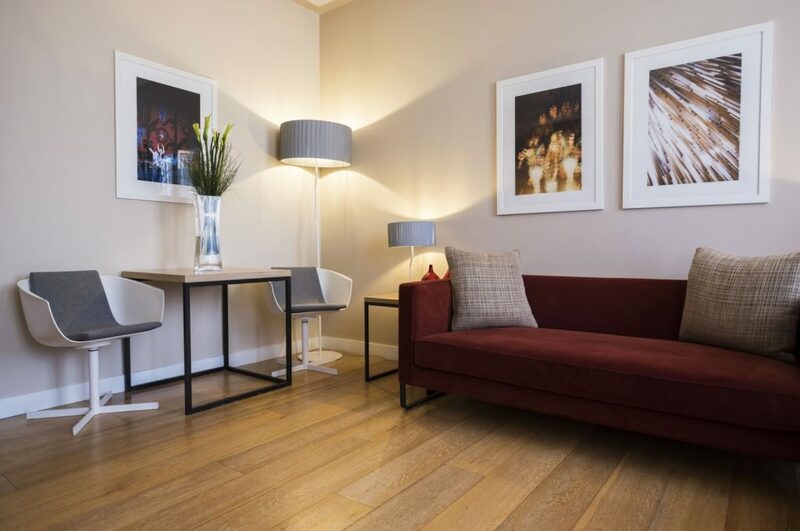 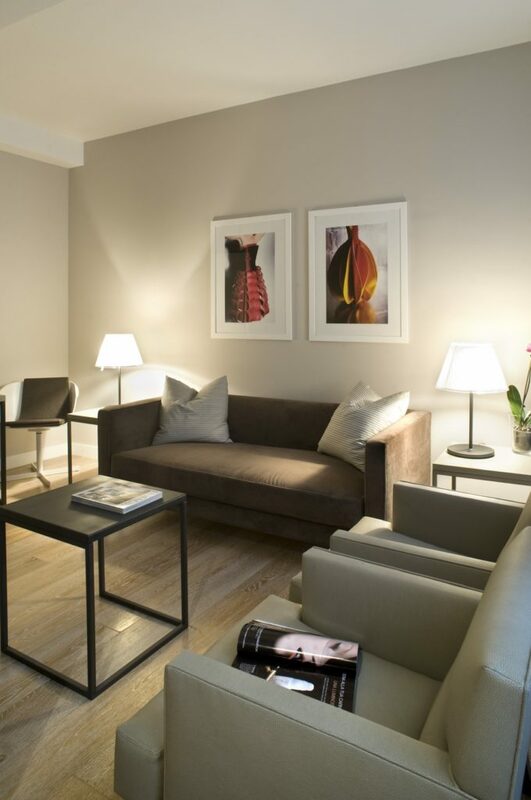 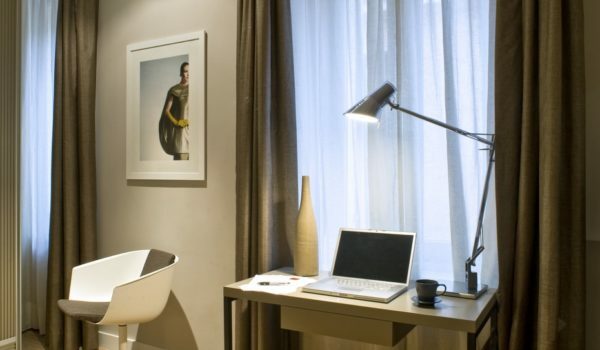 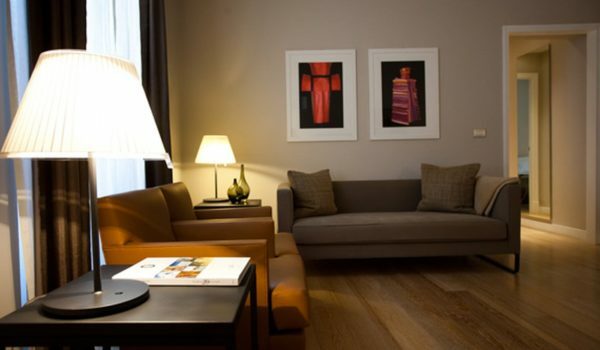 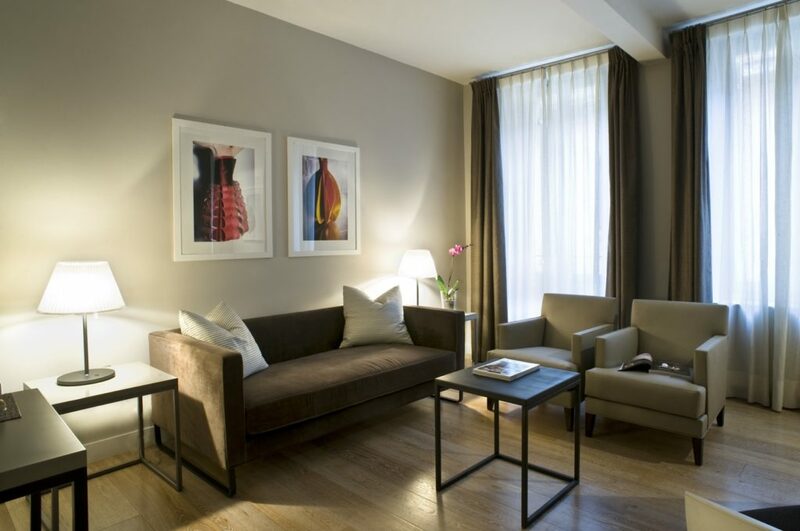 The elegant Suite Fashion 40 m² overlooks Via Mazzini, one of the most beautiful pedestrian streets of Verona. 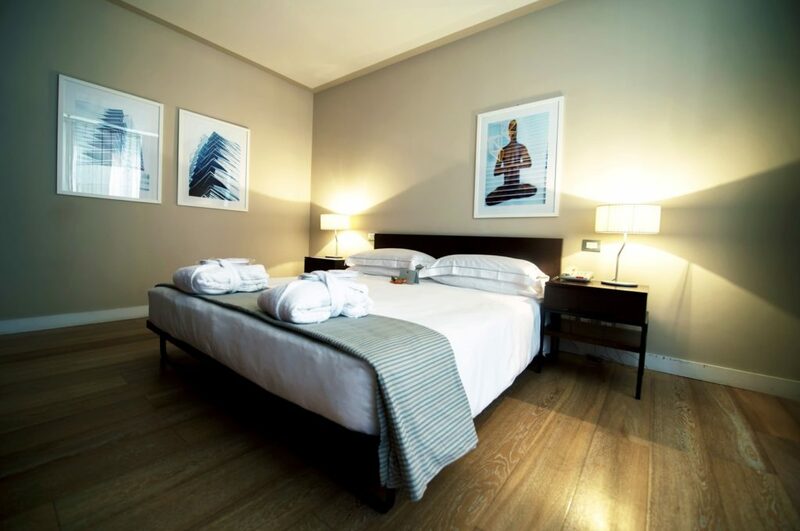 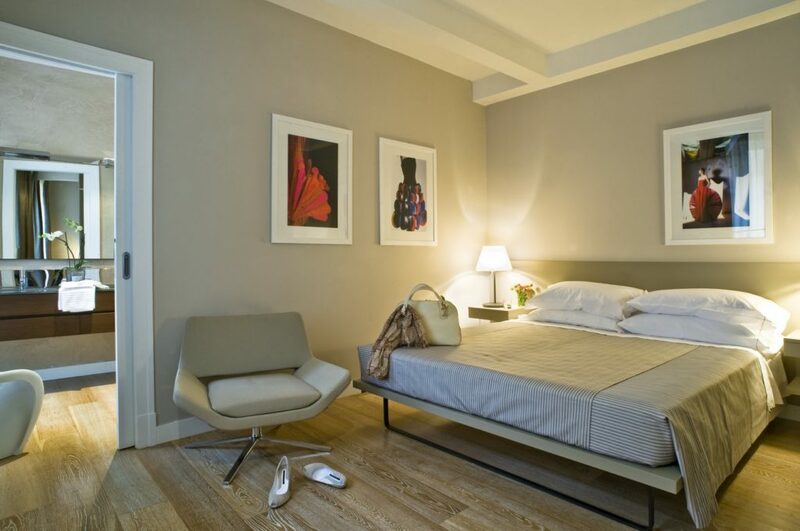 It is composed of a bright and modern living room, a wide bedroom with a double bed/twin bed and a large bathroom. 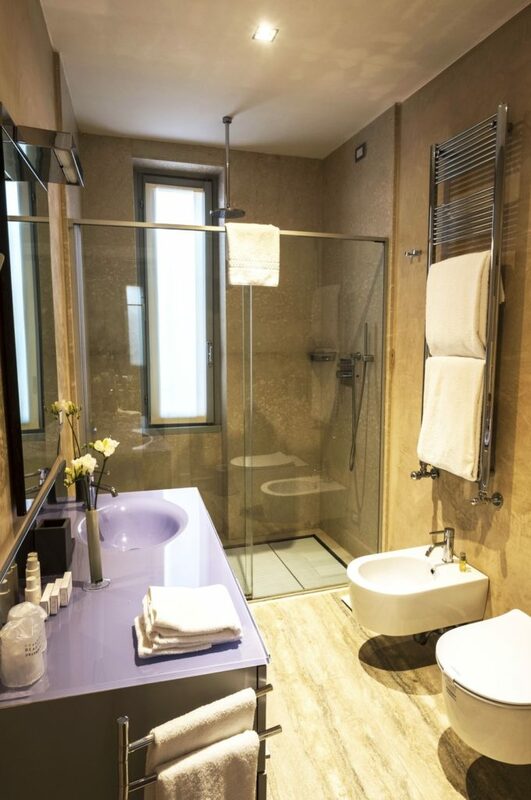 The bathroom has a big shower, a double sink and guests can find hair drier, courtesy set, tissues, bathrobe and slippers. 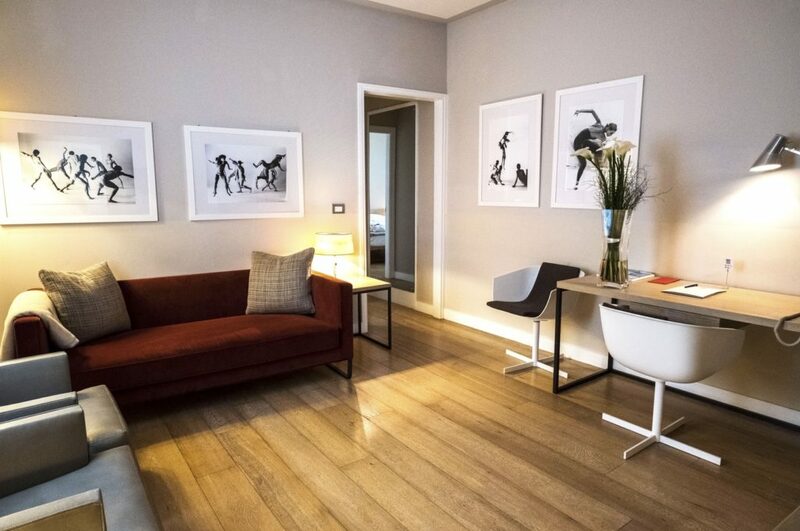 The design of furniture was overseen by Andrea Truglio, very well known Italian designer and it was made to measure for Escalus Luxury Suites. 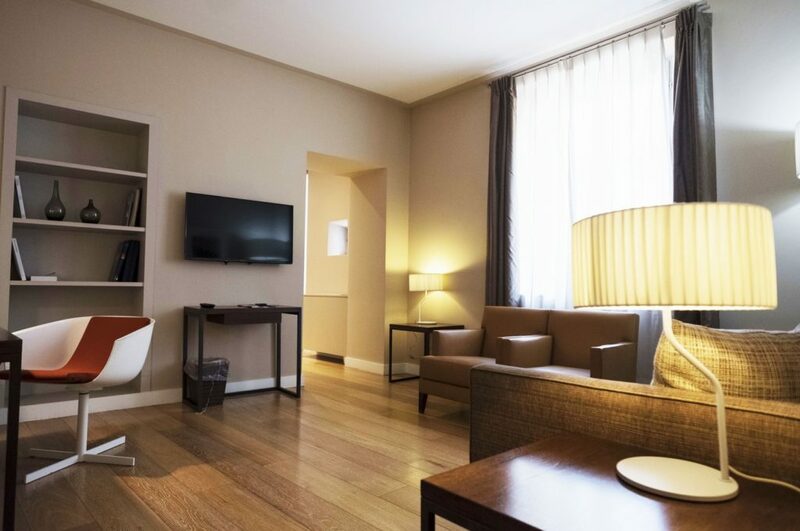 Oak wooden floor, marble floor in the bathroom, air-conditioning, big flat screen TV in the living room and in the bedroom, mini bar, desk, telephone, free Wifi and safe. 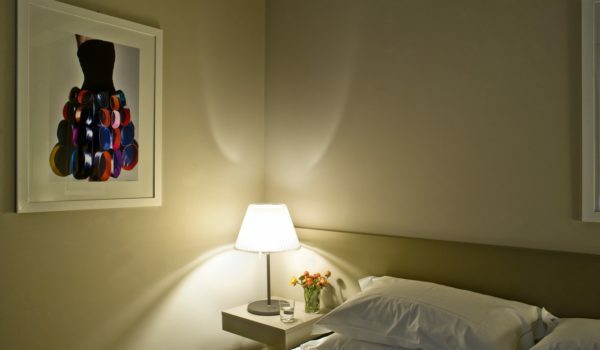 Iron and laundry service on demand. 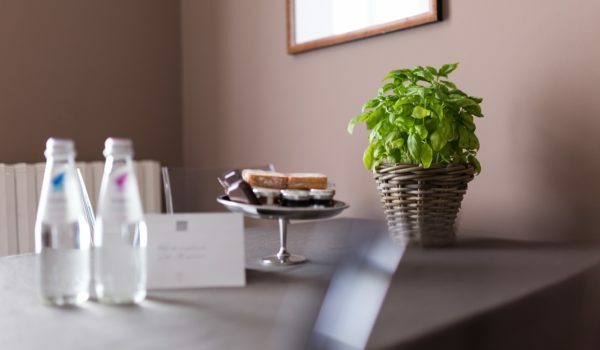 In the room, guests have at disposal a kettle with a fine selection of tea bags and herbal teas. 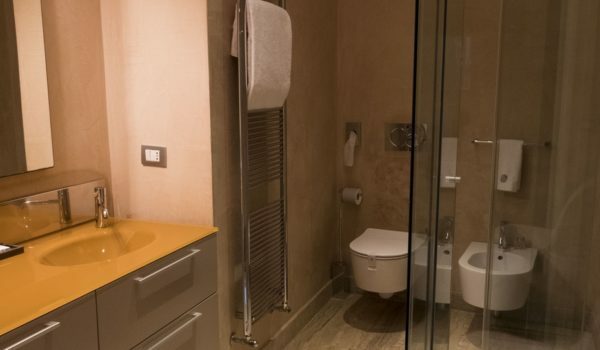 It is ideal also for small families. 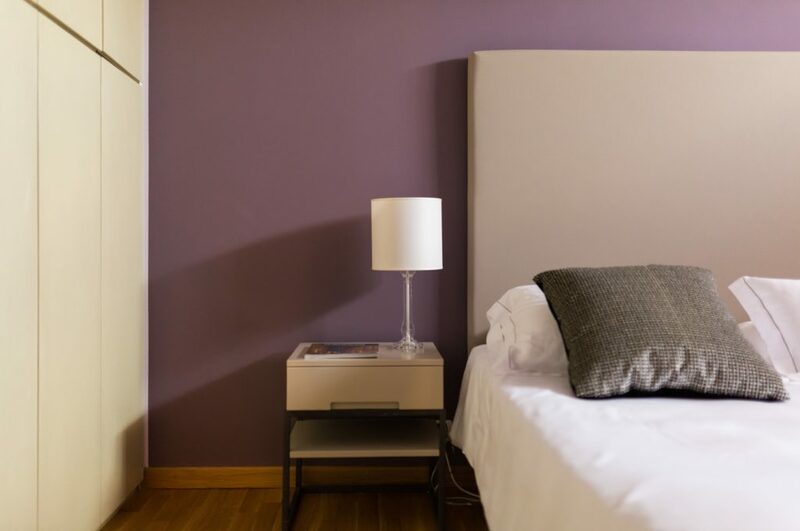 In fact, it is possible to add a baby cot 0-3 years or/and an extra bed in the living room. 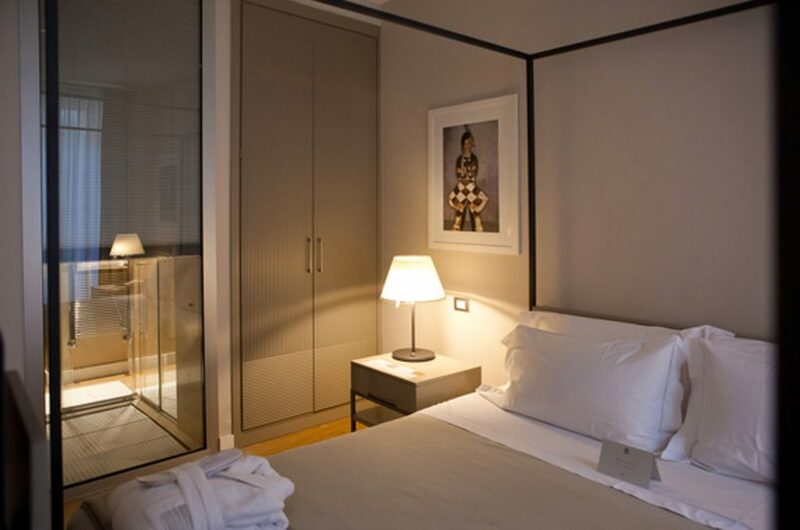 The beautiful Suite Glamour Deluxe 50 m² overlooks Vicolo Tre Marchetti, a narrow and quite street. 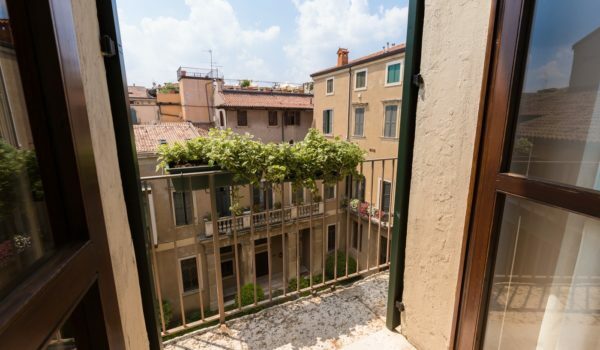 Some suites have a small balcony with partial view at the Arena. 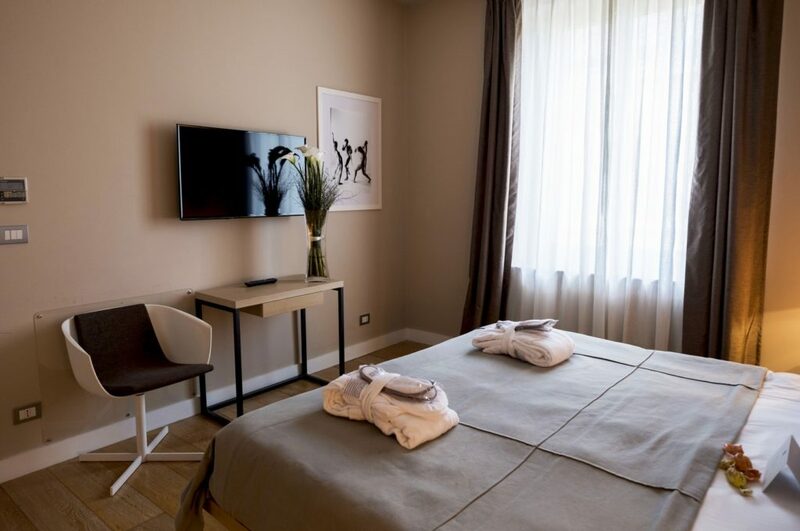 It is composed of a bright and modern living room, kitchenett, a wide bedroom with a double bed/twin beds, big flat screen TV in the living room and in the bedroom, a large bathroom with a big shower. 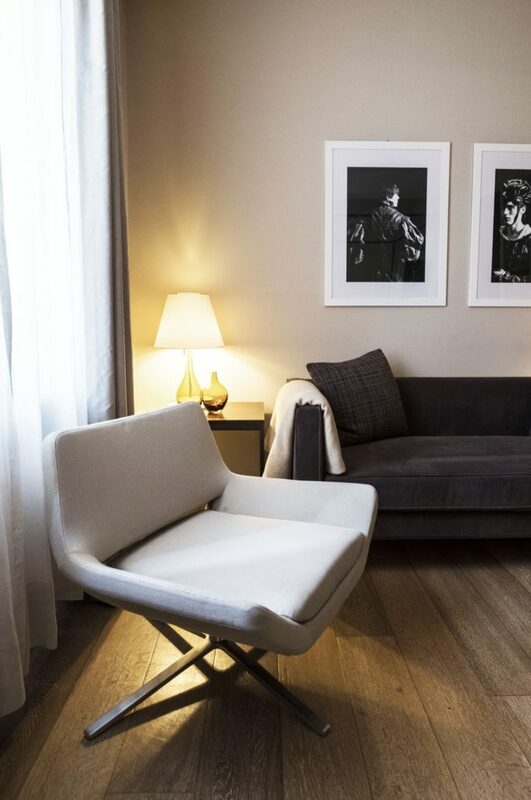 The design of furniture was overseen by Andrea Truglio, very well known Italian designer and it was made to measure for Escalus Luxury Suites. 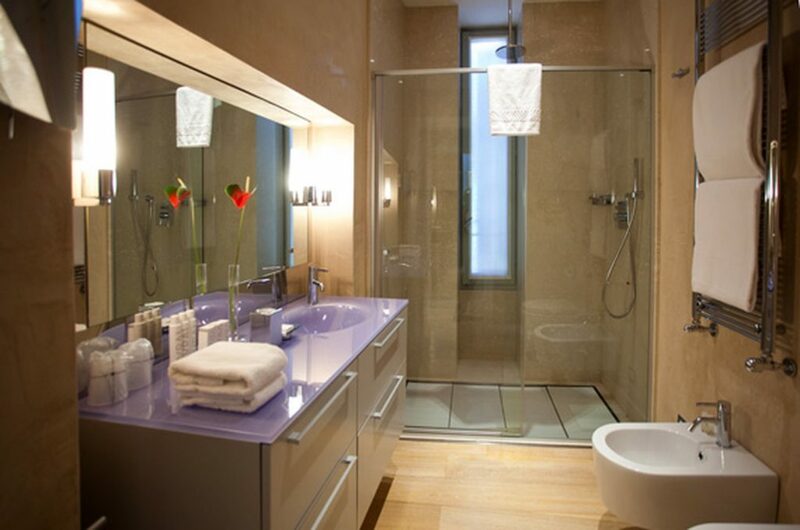 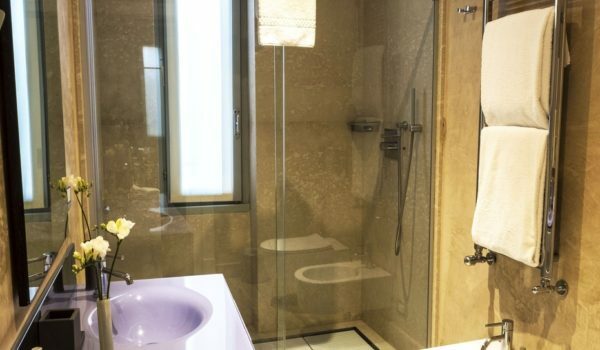 The bathroom has a big shower and Guests can find hair dryer, courtesy set, tissues, bathrobe and slippers. 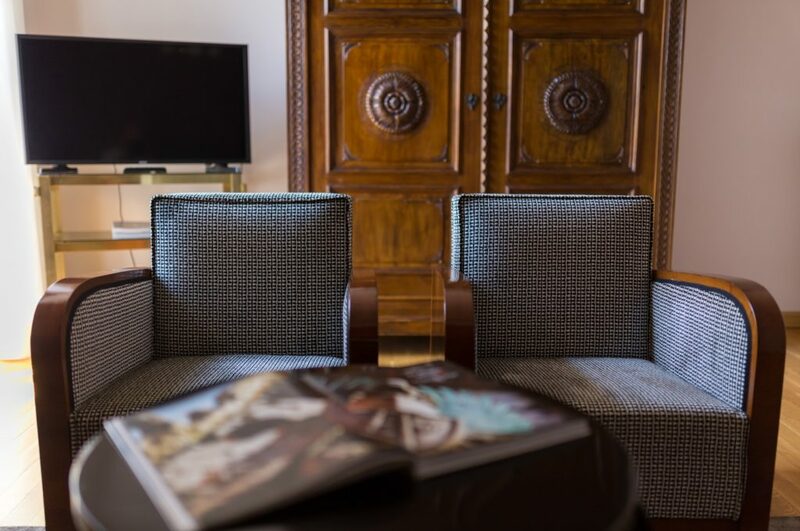 Oak wooden floor, air-conditioning, flat screen TV in the living room as well as in the bedroom, mini bar, free Wifi and safe. 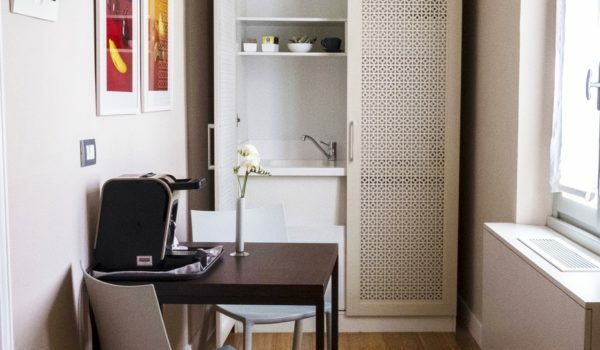 Iron and laundry service on demand. 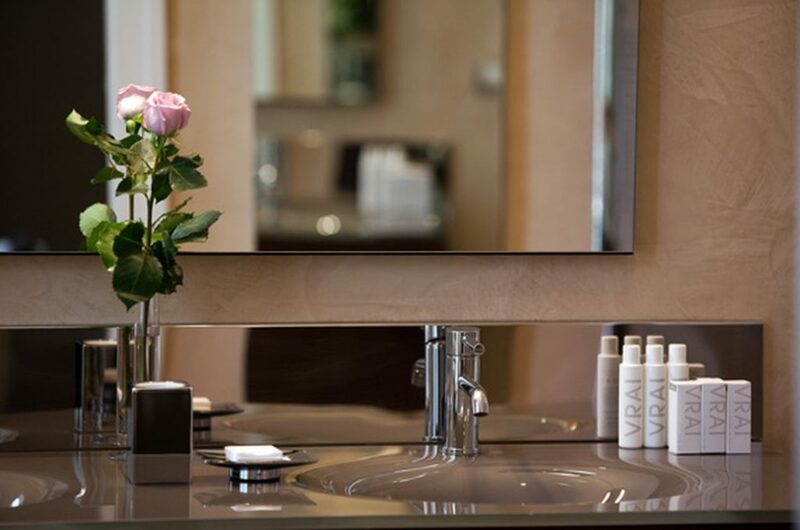 In the room, Guests have at disposal a kettle with a fine selection of tea bags and herbal teas. 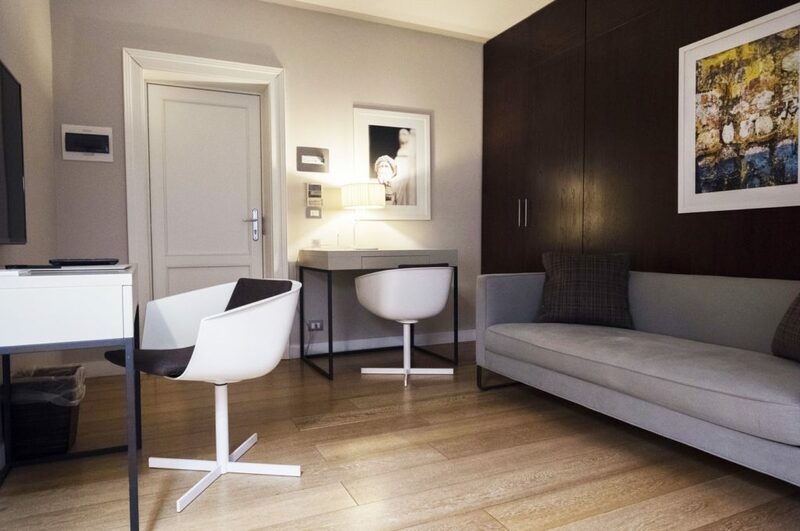 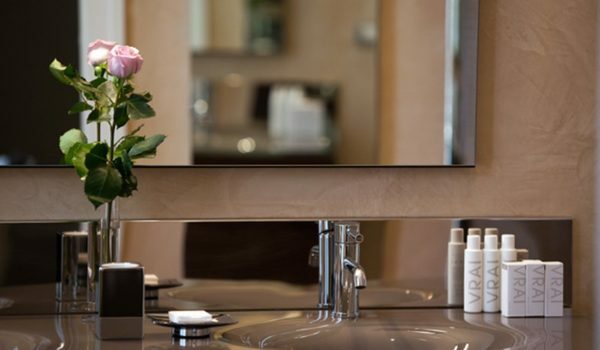 The Suite Glamour Deluxe is ideal also for families and longer stays. 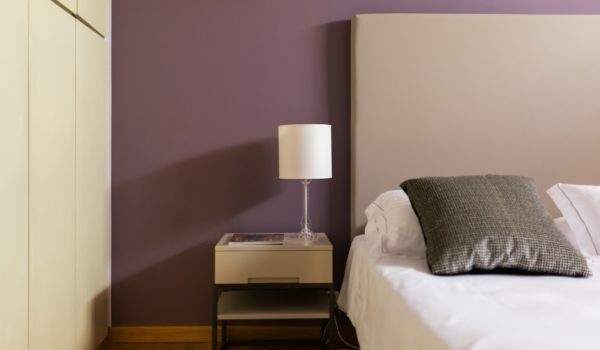 In fact it is possible to add a baby cot 0-3 years and/or up to 2 extra beds in the living room. 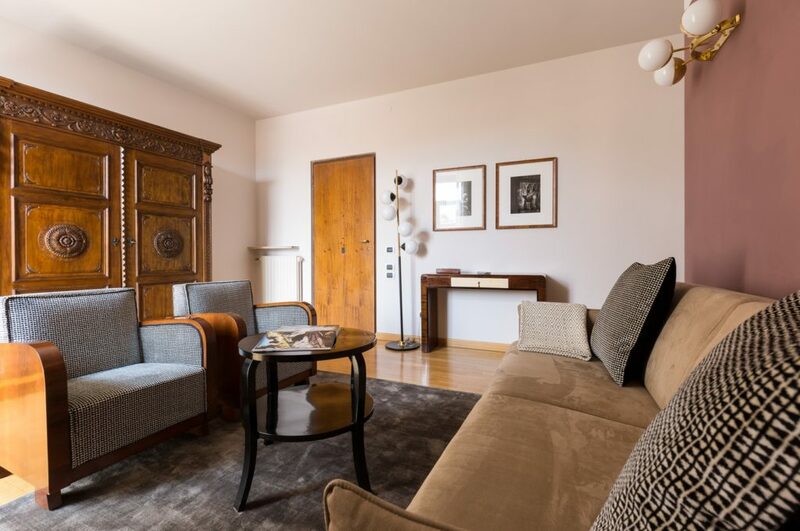 Escalus Annex Apartment 80 m² is located in a quiet beautiful historical residential building at about 350 mt. 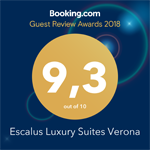 from Escalus Luxury Suites. 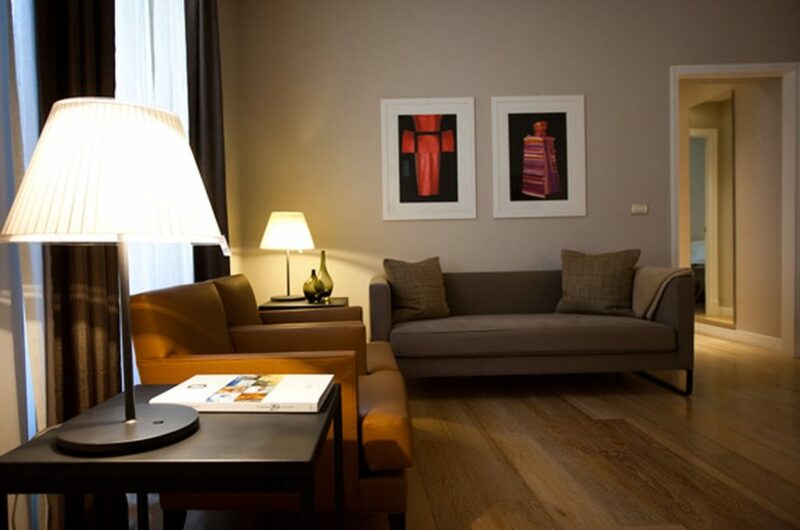 With its 80sqm it perfectly combines comfort and charm. 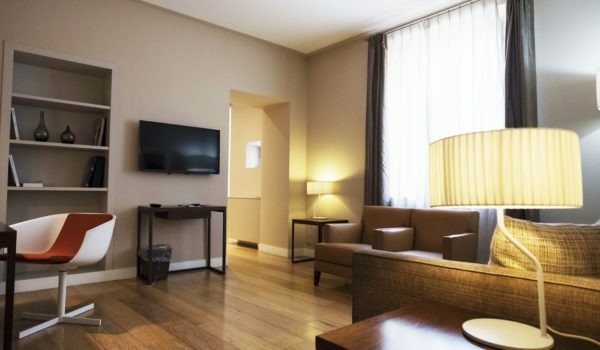 It is composed of a spacious and bright living room with flat TV and a balcony communicating with the kitchen, a double room with flat TV and a room with 2 single beds, one large bathroom with shower. 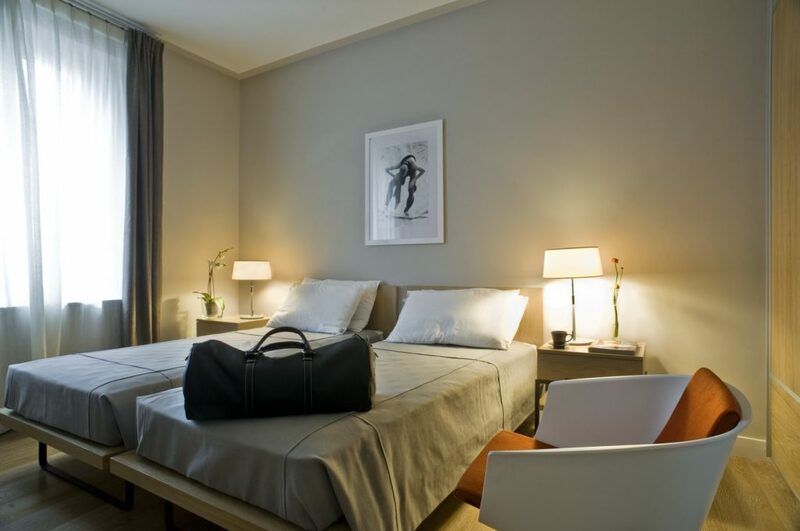 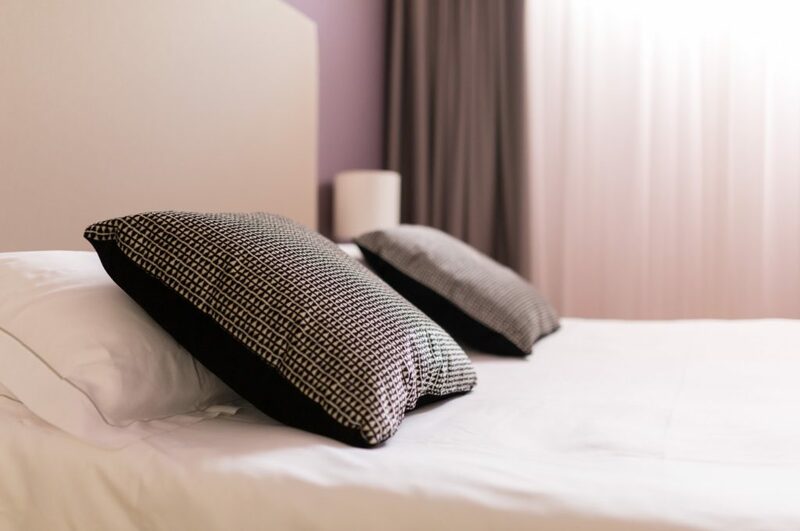 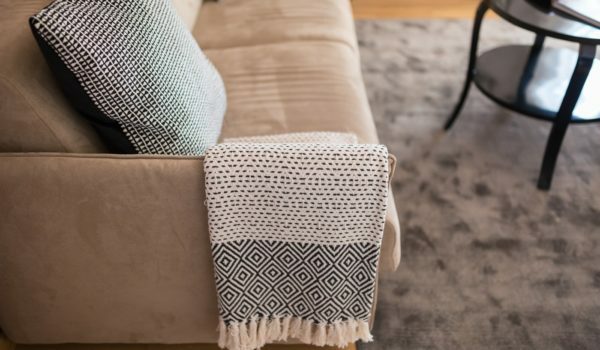 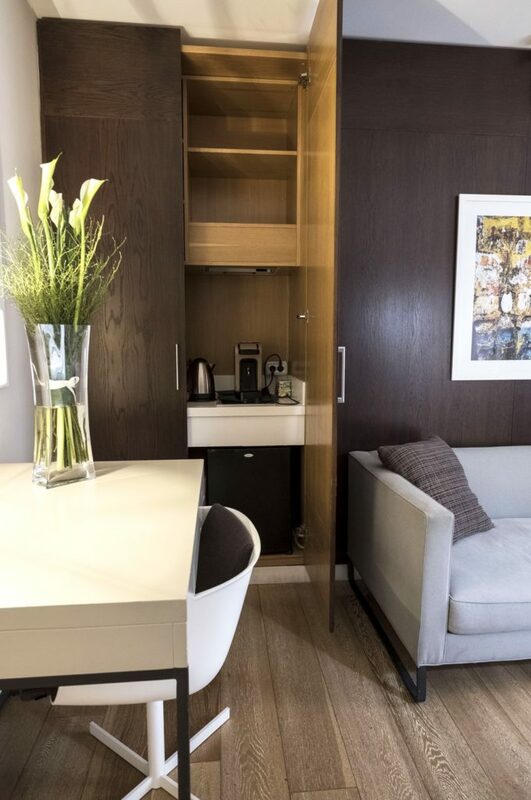 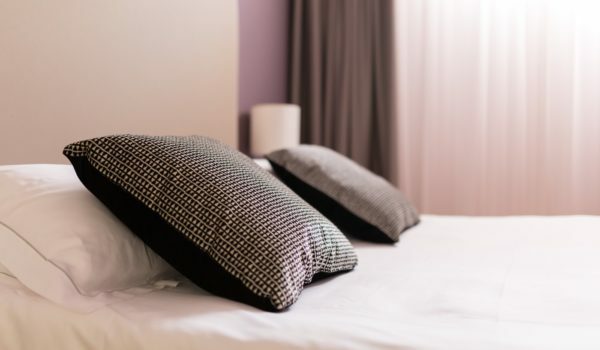 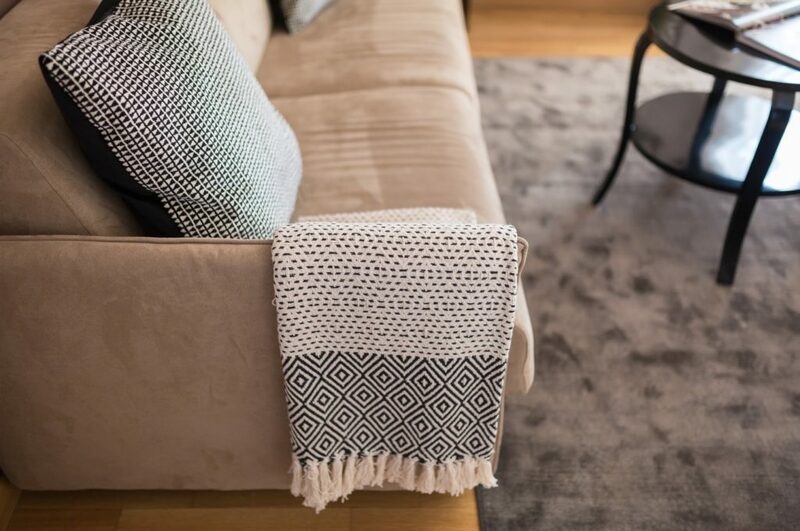 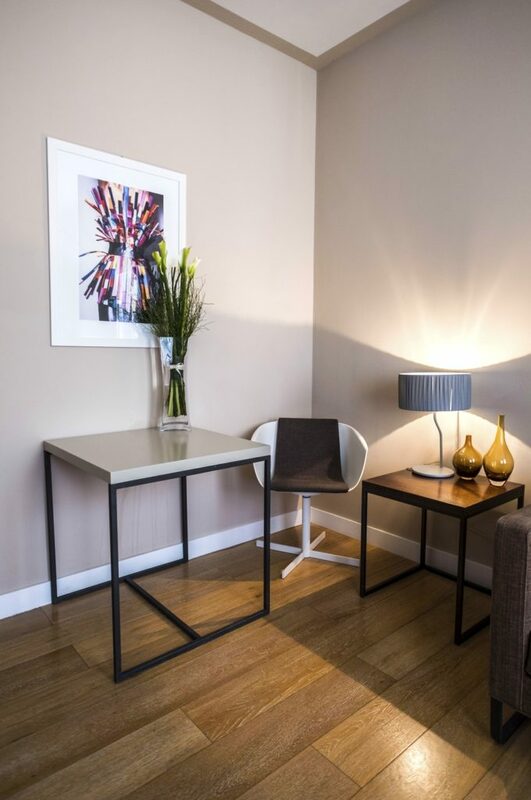 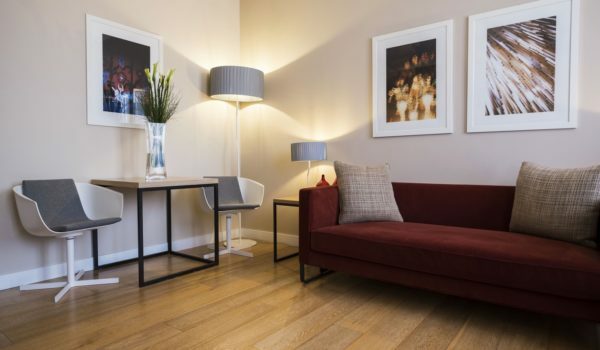 The Annex Apartment is ideal for family holidays, for long business stays and also for those who prefer the privacy and comfort of an apartment. 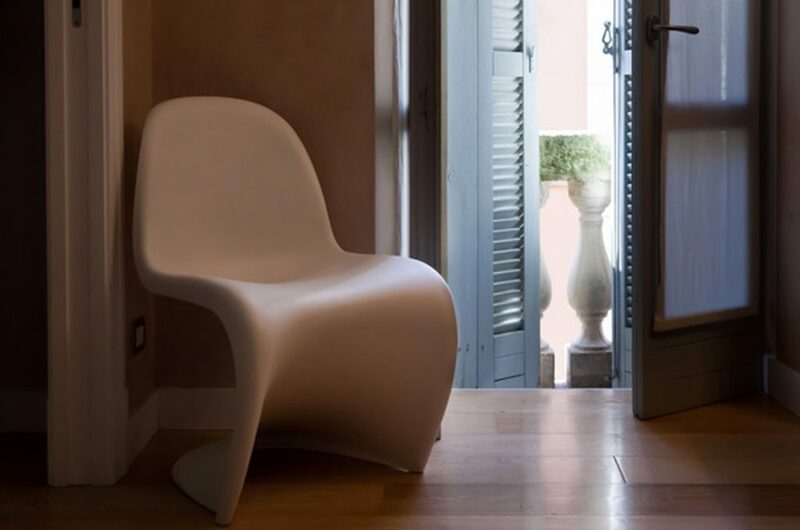 The design is elegant and comfortable. 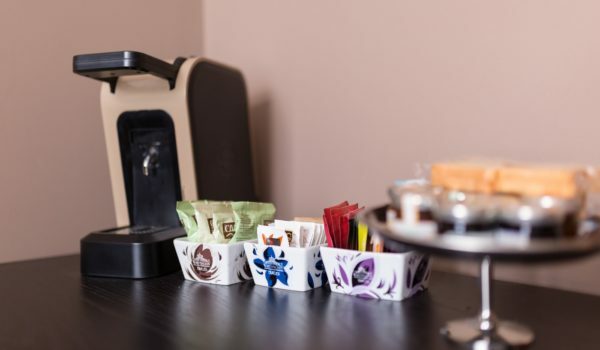 Guests can find at their disposal a courtesy set, professional hairdryer, a coffee pod machine and a set of tea with electric tea kettle. 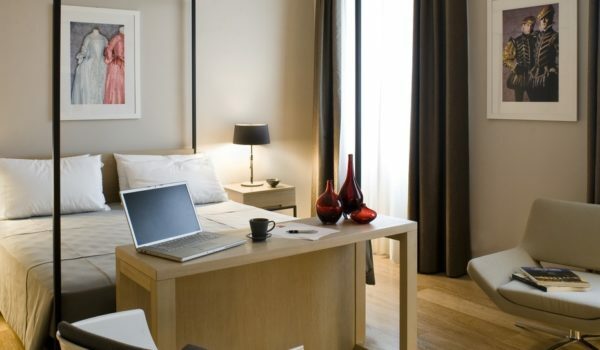 Internet wi-fi free. 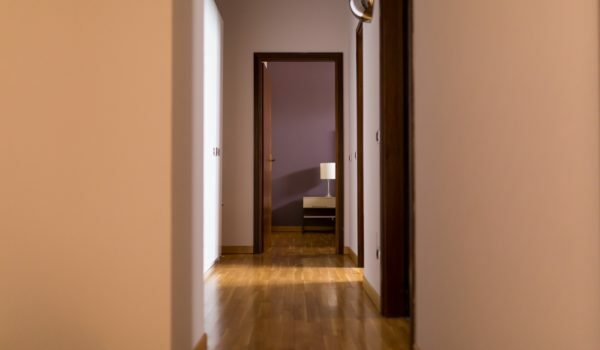 The air conditioning / central heating it can be adjusted individually from the apartment. 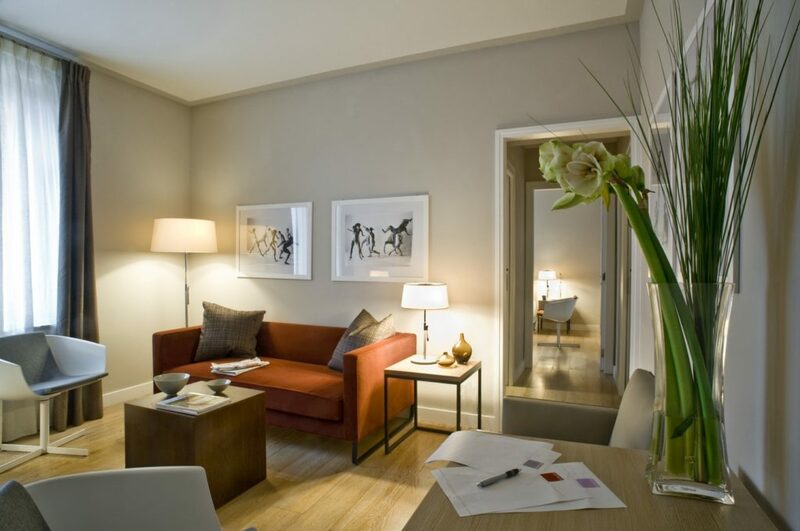 Escalus Luxury Suites is Luxury boutique accomodation. 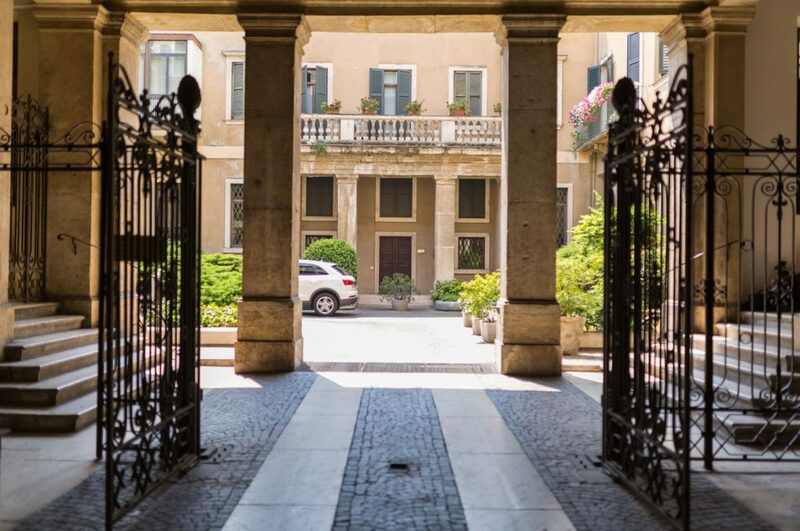 It’s strategic location between Arena of Verona and “via Mazzini” is ideal for luxury shopping.